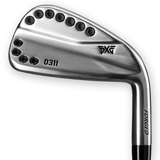 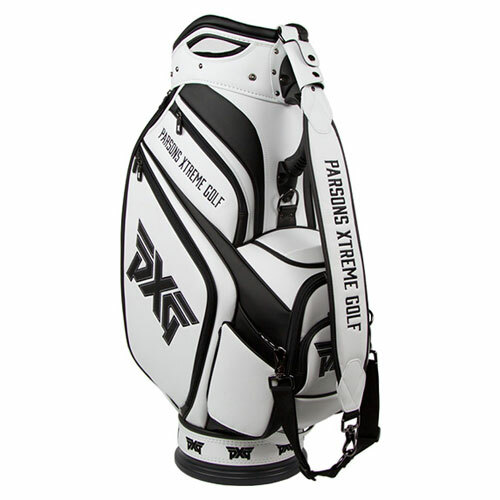 The information on this page is intended for Japanese golfers in the United States. 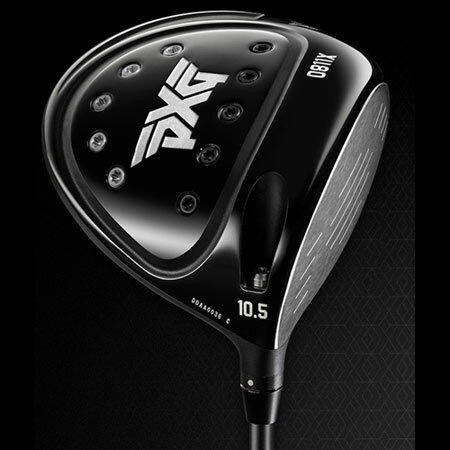 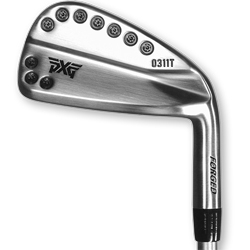 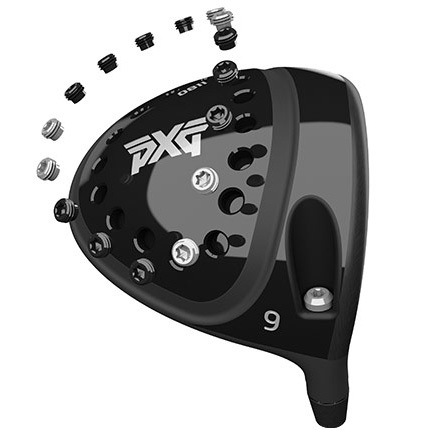 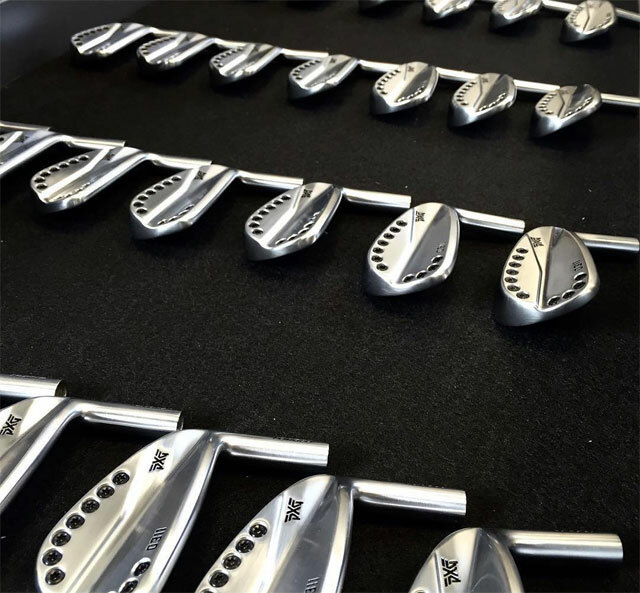 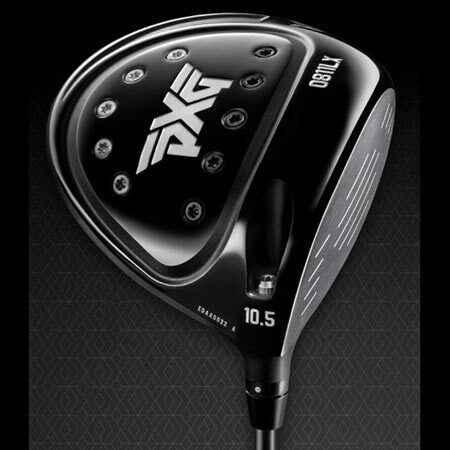 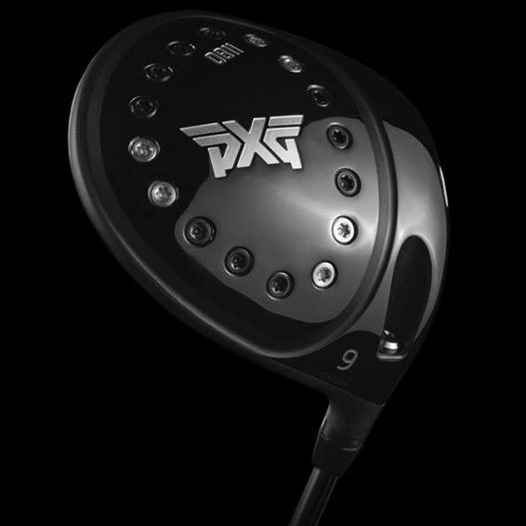 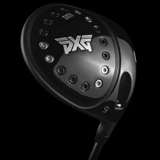 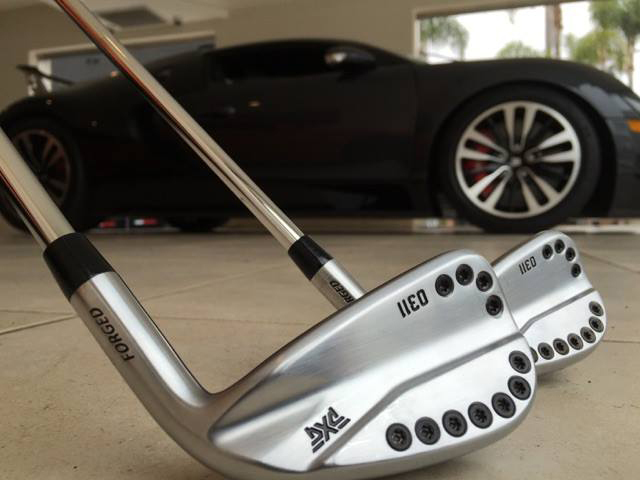 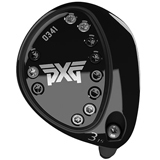 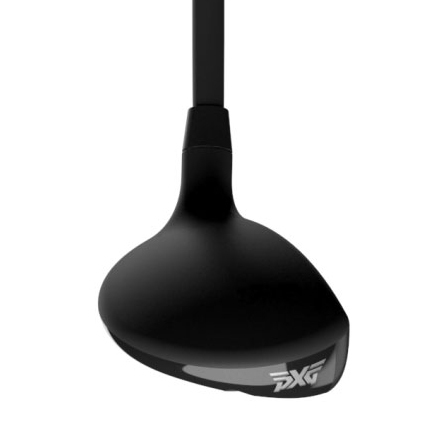 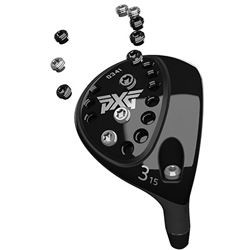 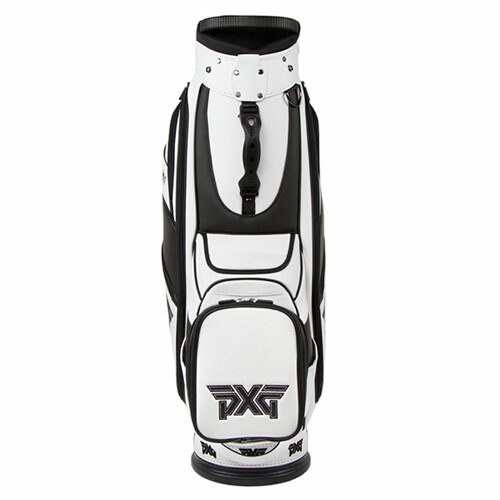 Fairway Golf is an authorized PXG dealer in the United States. 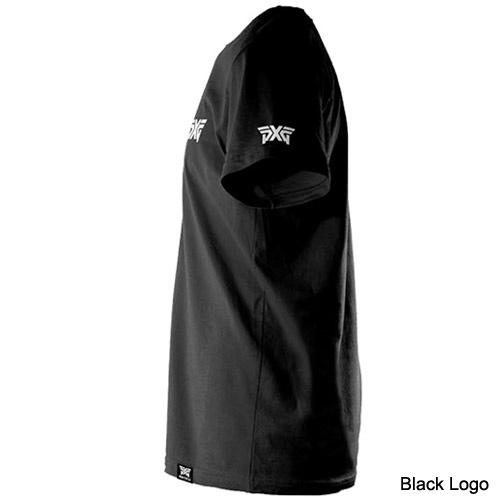 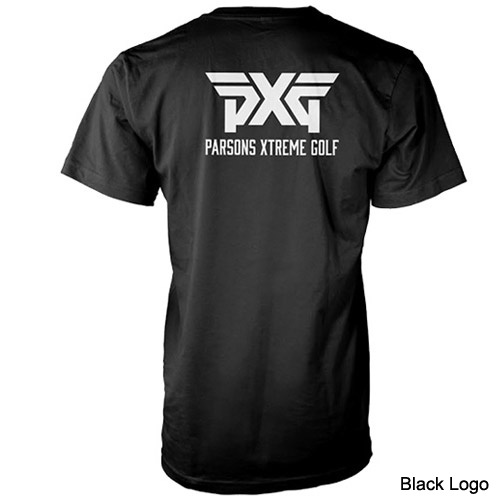 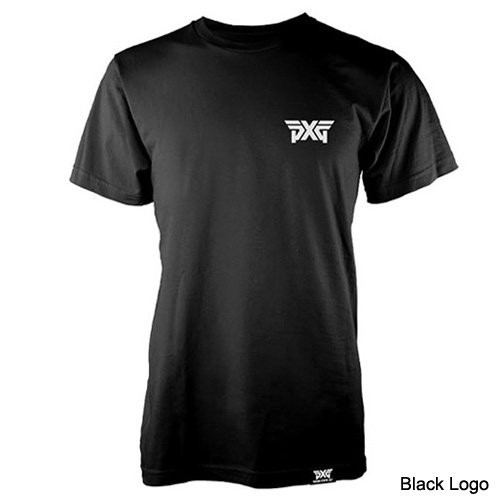 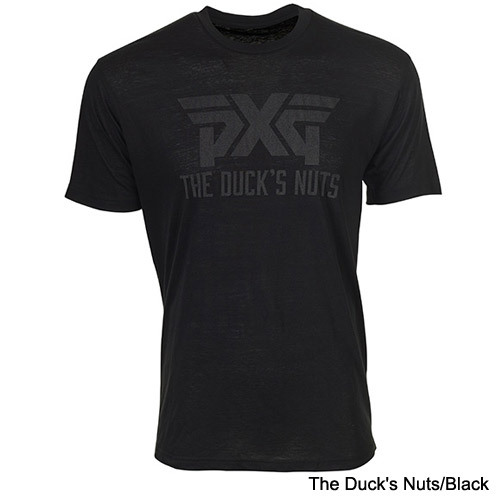 Show off your PXG pride with our Men's Black Logo T-Shirt. 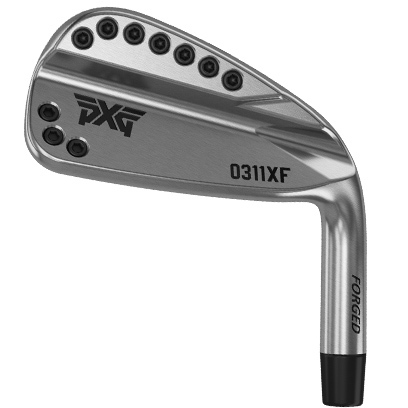 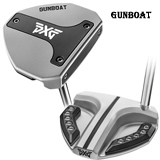 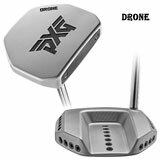 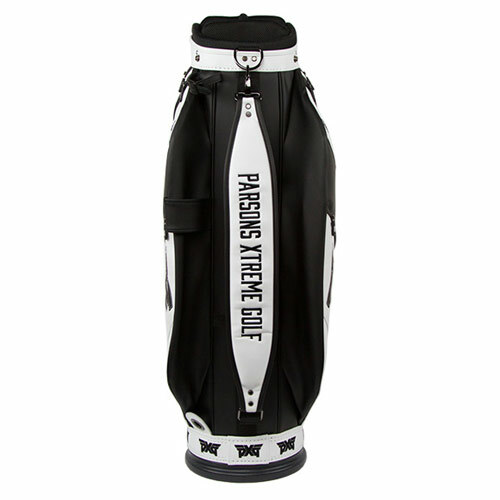 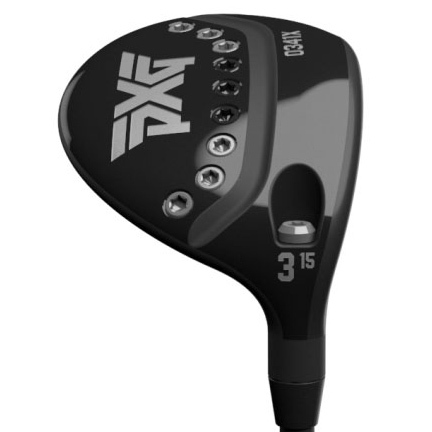 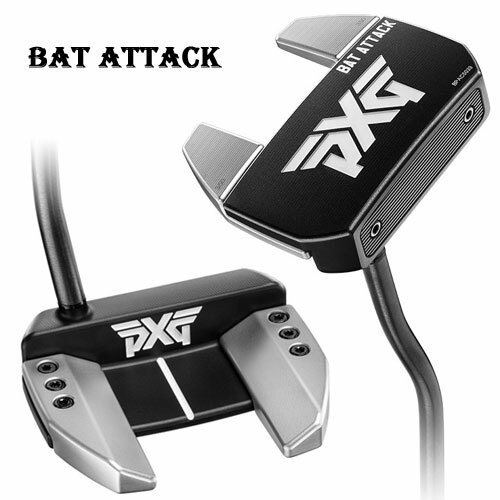 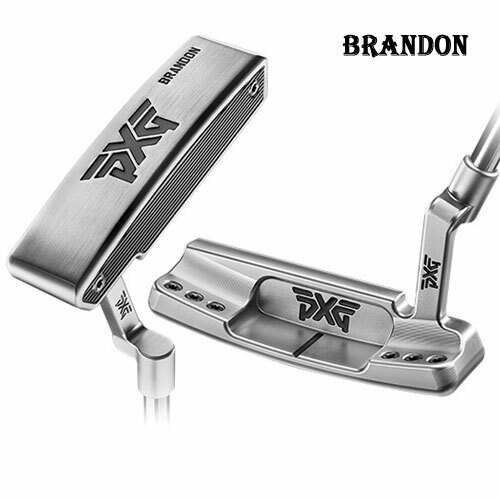 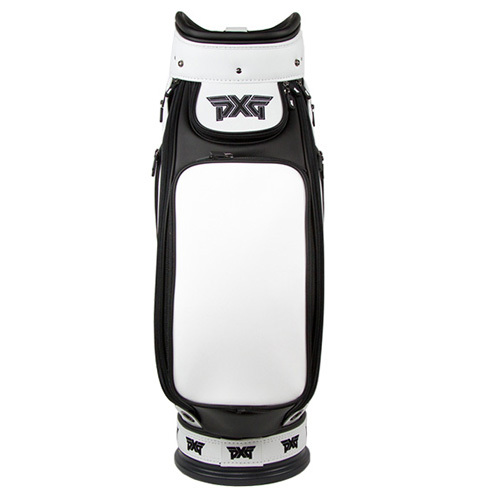 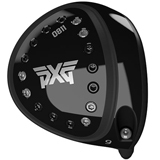 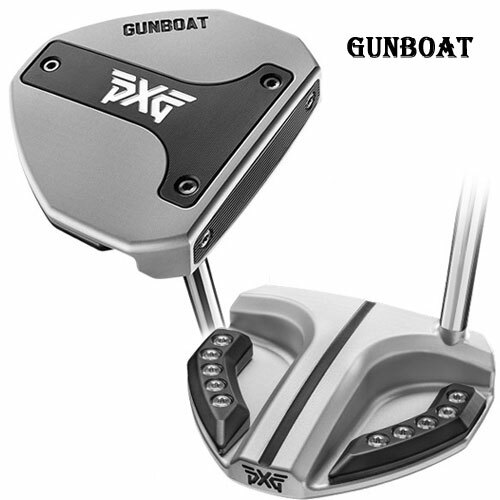 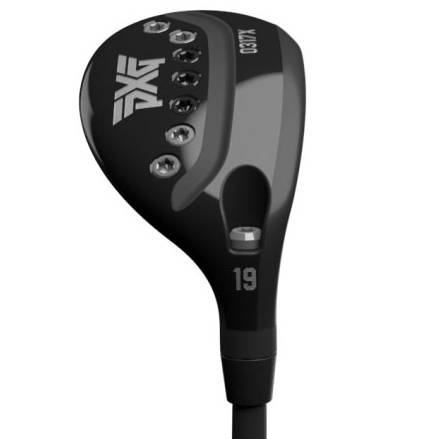 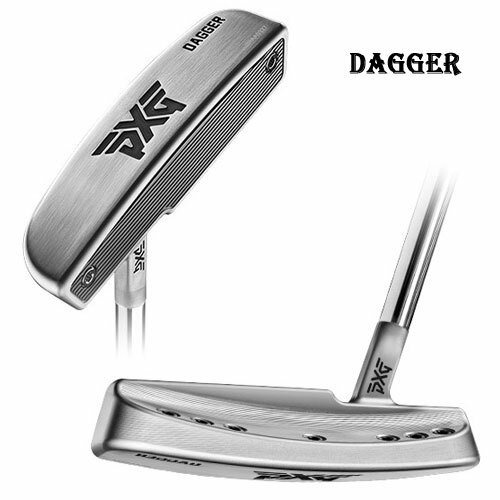 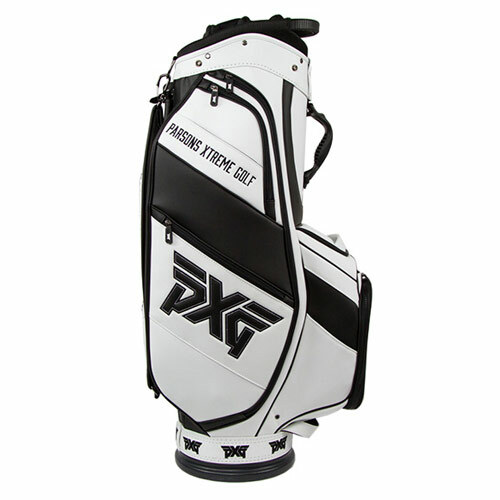 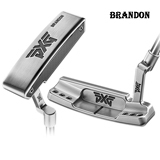 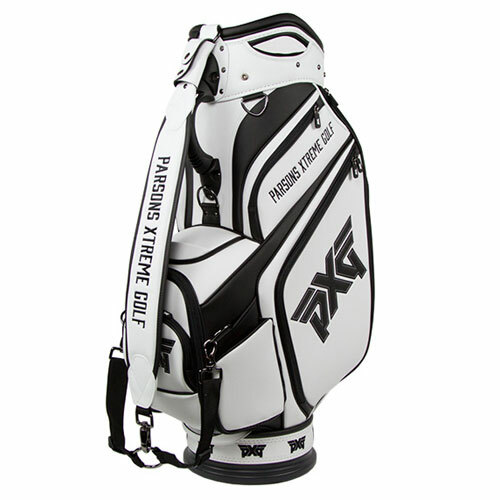 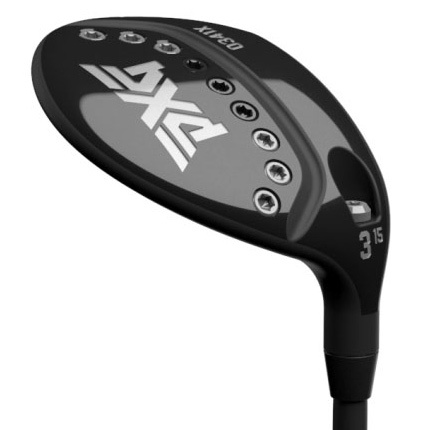 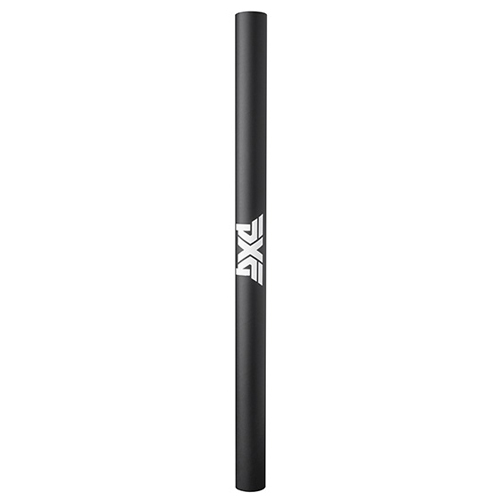 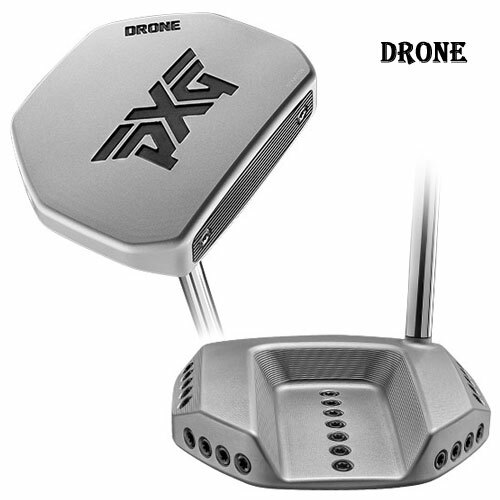 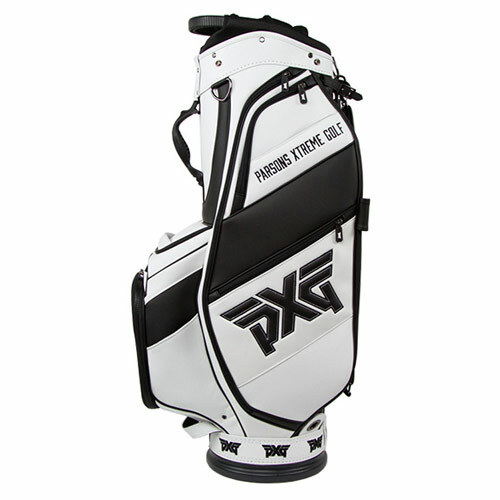 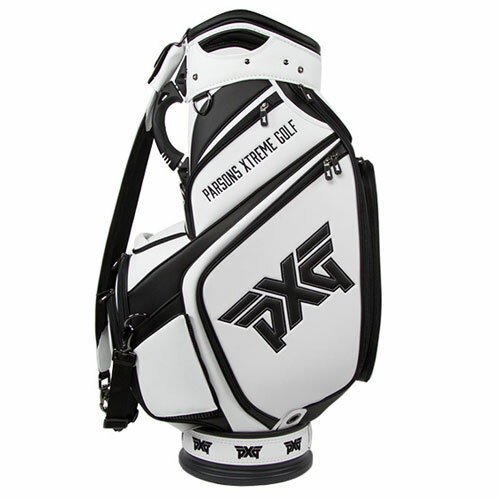 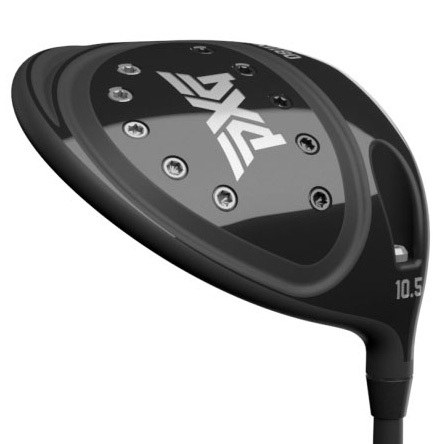 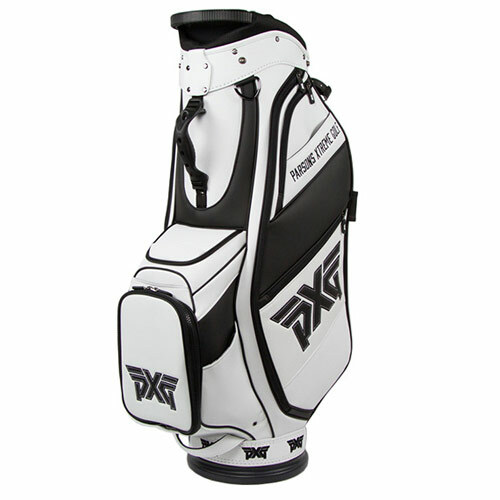 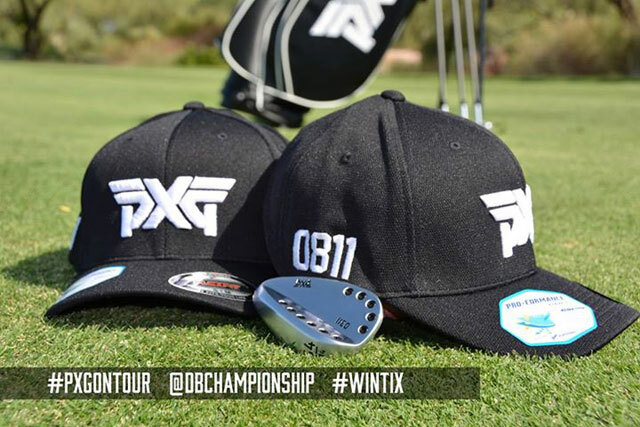 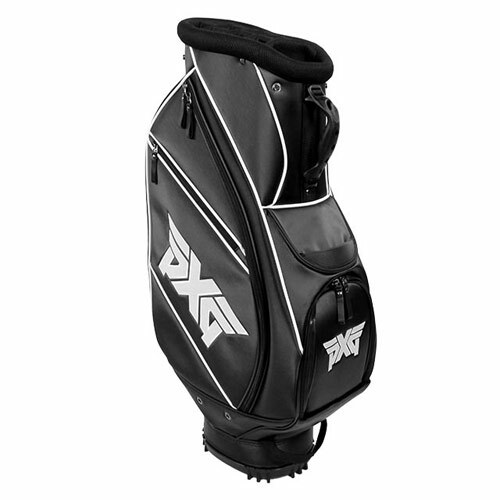 Soft and stylish, it features PXG logos silkscreened on the left chest and left shoulder sleeve, large centered logo on the back and woven PXG tag on the bottom left. 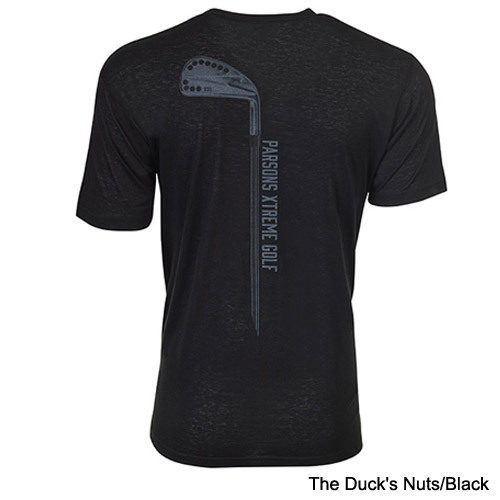 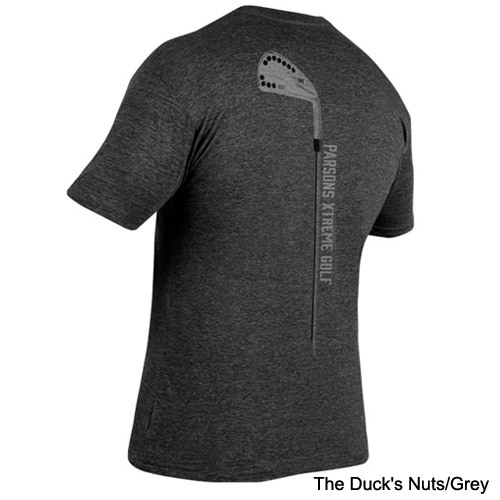 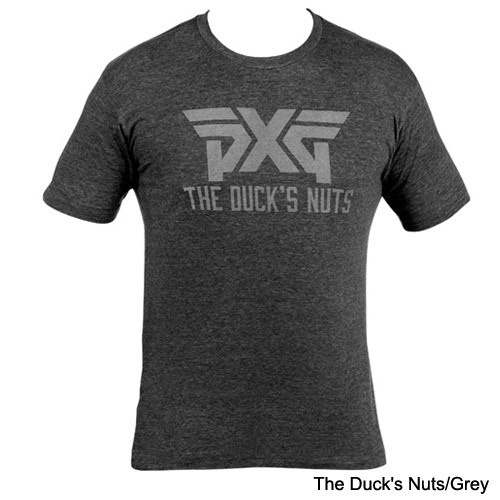 This PXG t-shirt proudly declares PXG clubs are the best of the best, the creme de la creme - "the duck's nuts." 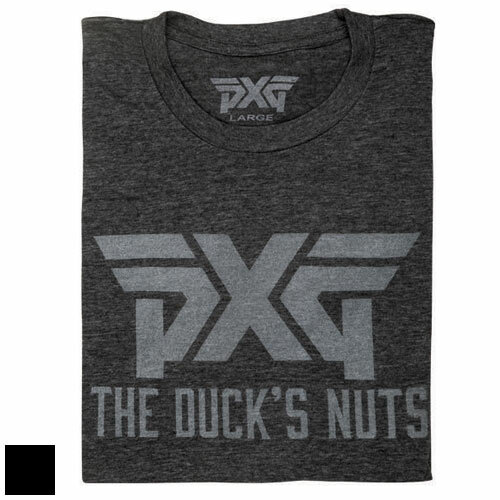 This shirt is designed for PXG Troops who know that a bit of humor and a bag of the finest golf equipment on the planet will elevate their game on and off the course. 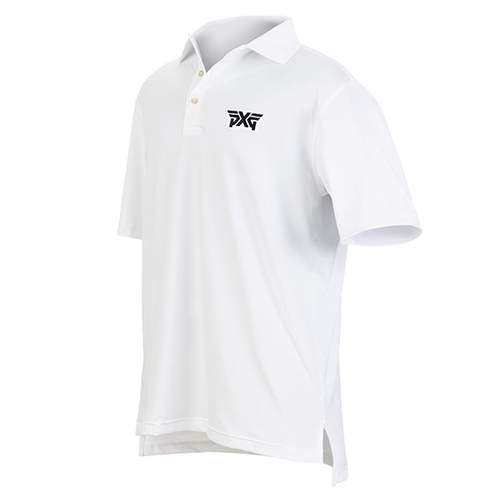 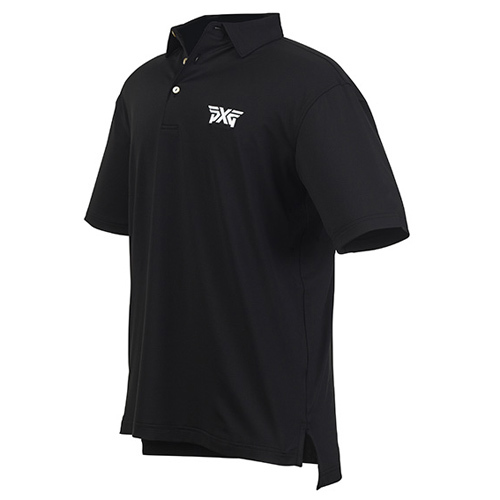 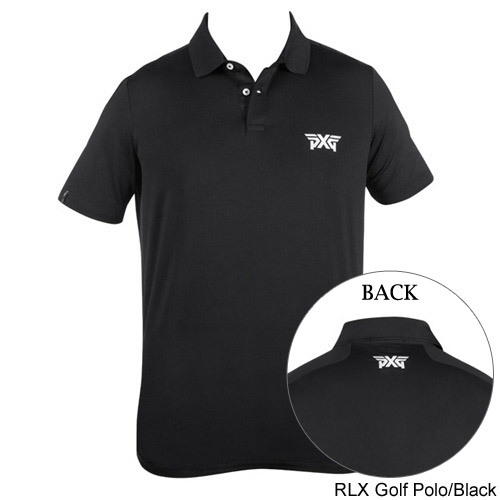 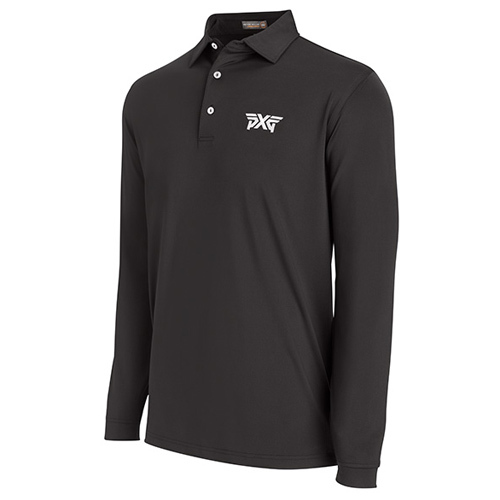 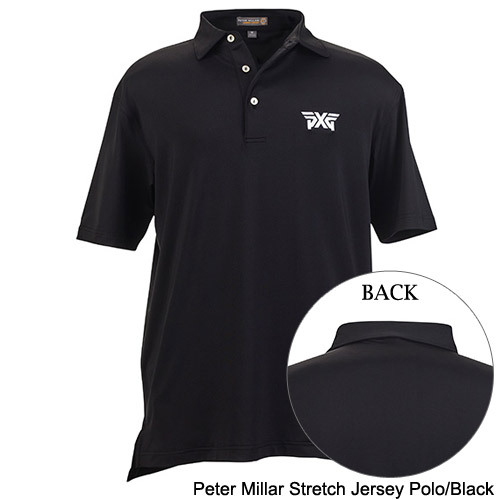 PXG logo polo by Peter Millar features a performance-friendly fit and is perfect for PXG Troops who want to look good on the course without a lot of hassle. 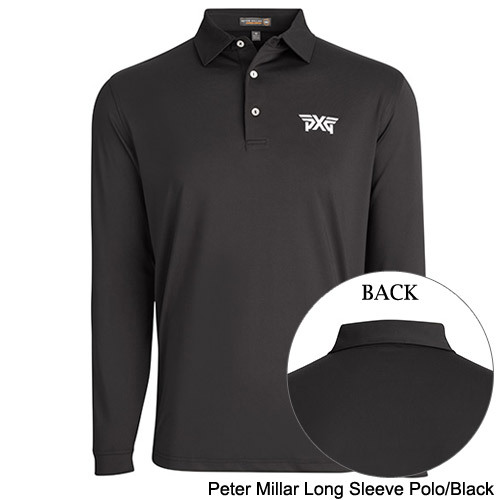 Take your fall wardrobe to the next level with the PXG Peter Millar Long Sleeve Polo. 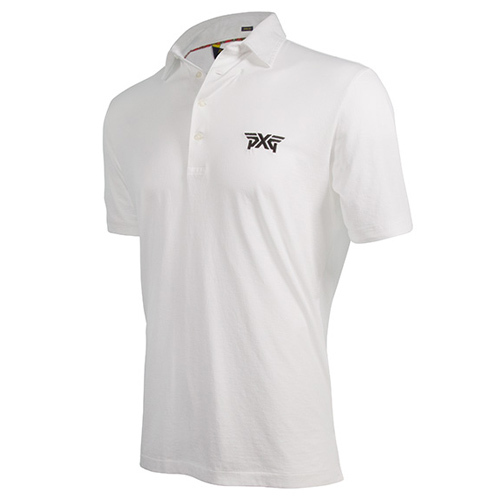 Created for style and performance, this polo is breathable, quick drying and stretches four ways for maximum comfort. 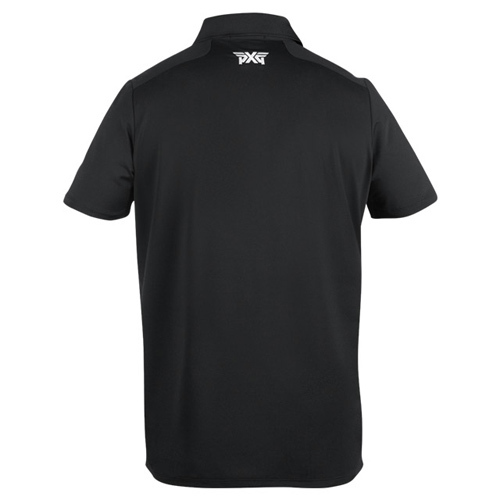 Easy-care and an odor-control finish makes this the perfect go-to garment whether you’re headed to the links or happy hour. 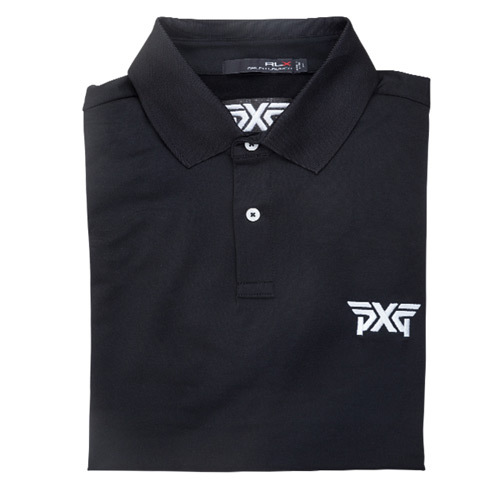 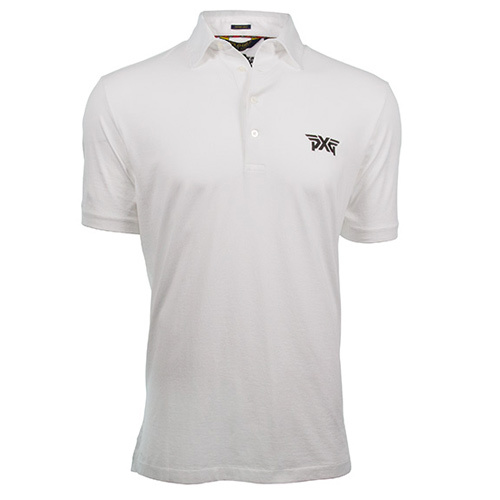 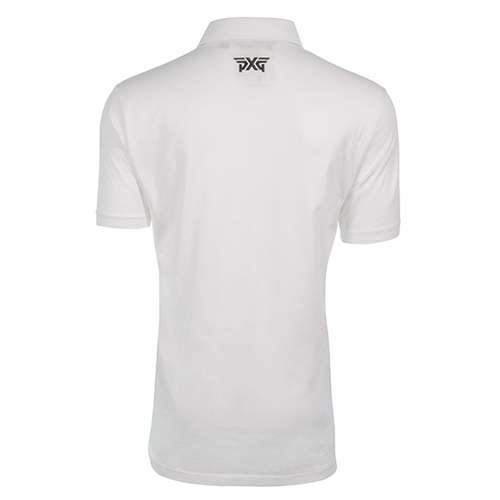 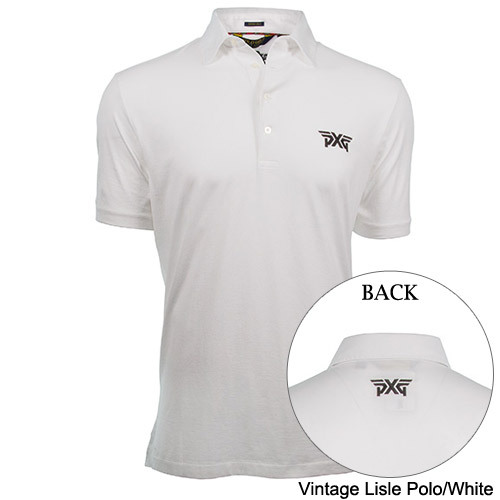 PXG logo polo by Polo Golf features breathable cotton lisle making it the perfect choice both on and off the course. 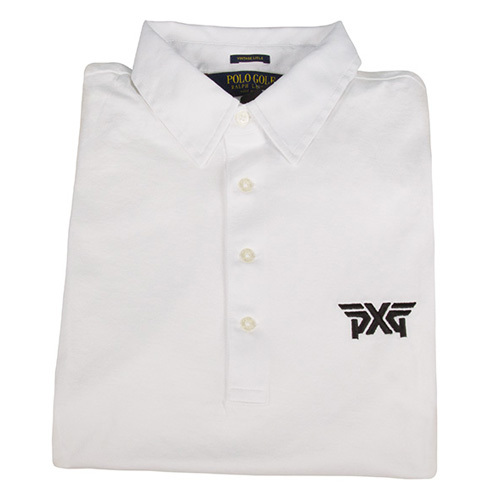 PXG men’s golf polo shirt is from the ultra-modern Ralph Lauren Golf Collection, worn by PXG tour pro Billy Horschel. 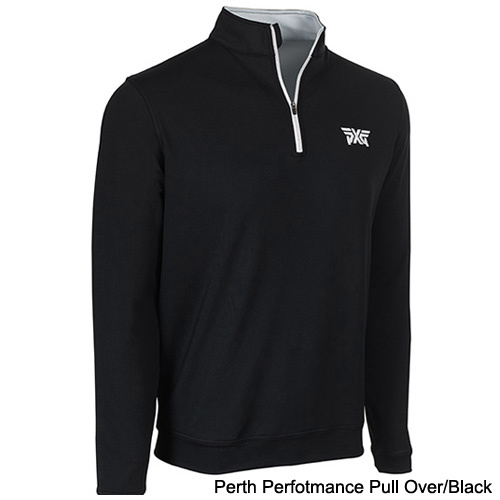 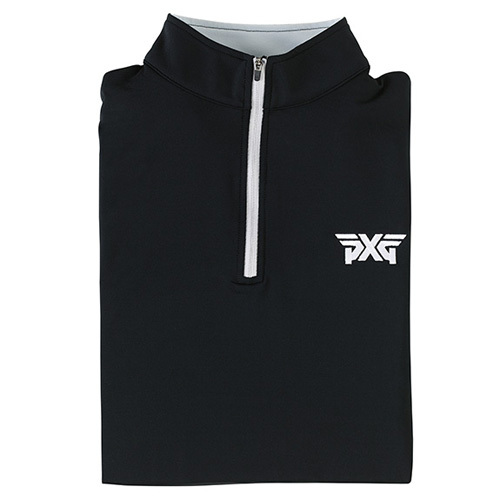 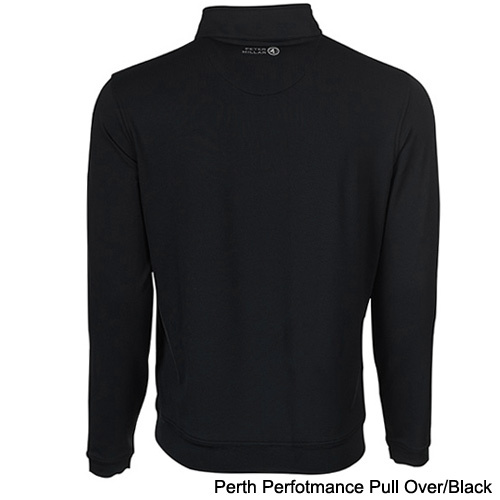 PXG pullover offers the perfect mid-weight layer. 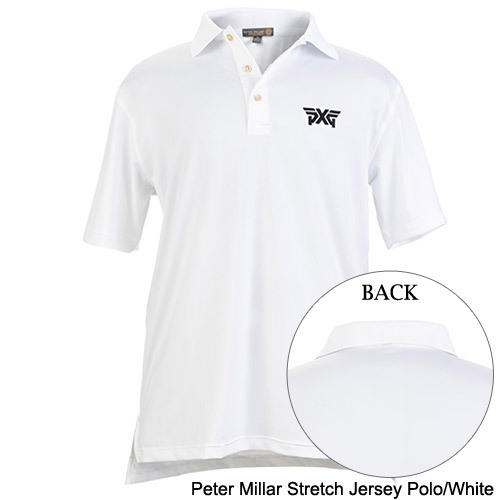 The classic and comfortable Peter Millar design has an athletic fit. 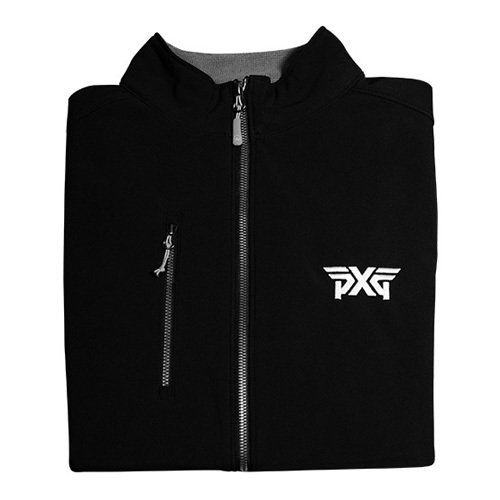 The pullover features the PXG logo and a stretch French terry which wicks away moisture to keep you dry, no matter what the conditions. 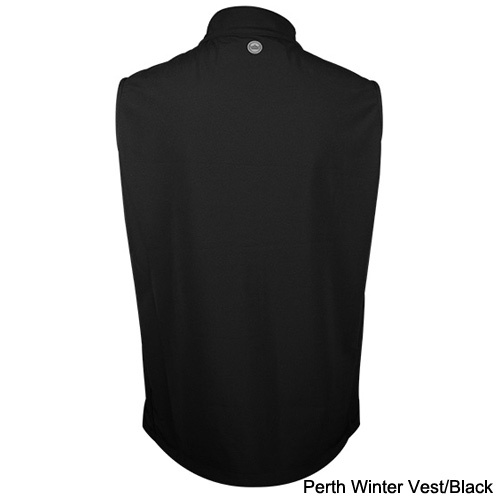 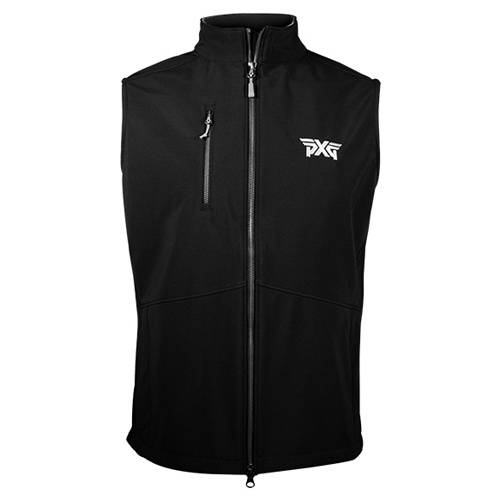 The PXG Juneau 3-Layer winter vest is the perfect addition to your collection as temperatures take a turn. 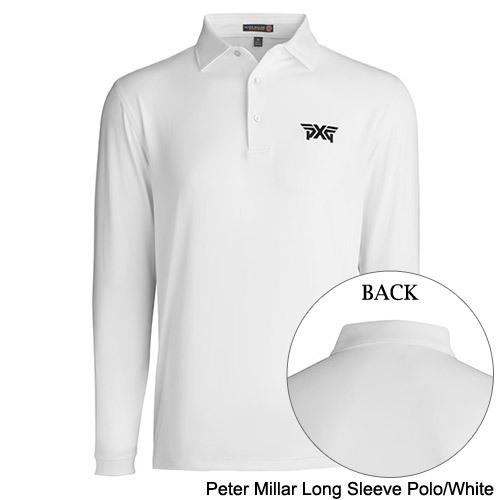 The Peter Millar design provides protection from wind and water without sacrificing any range of motion. 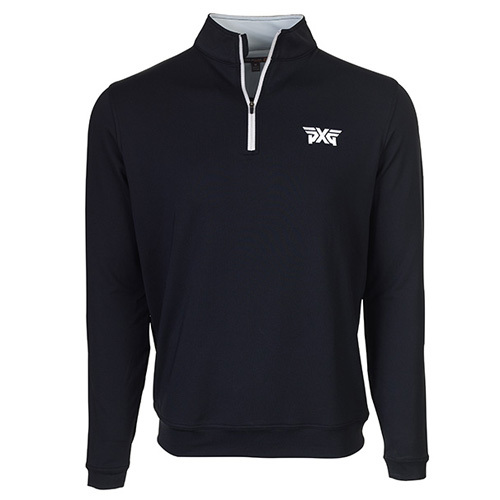 Featuring microfleece lining and four-way stretch exterior, you’ll be the most stylish member of your foursome, no matter what the conditions. 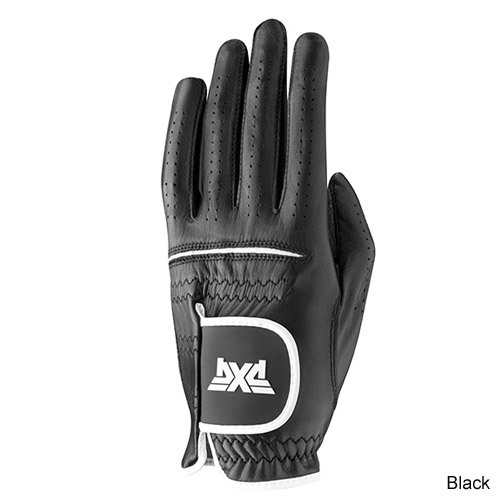 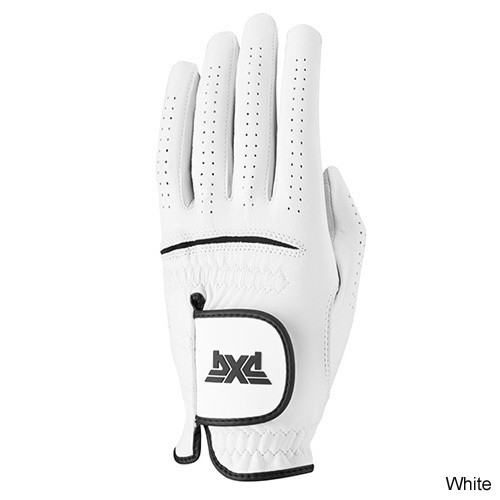 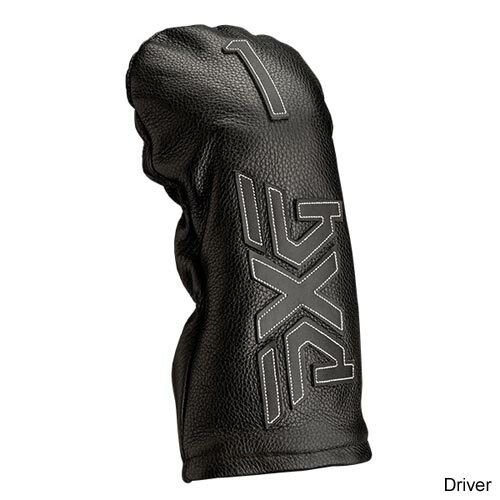 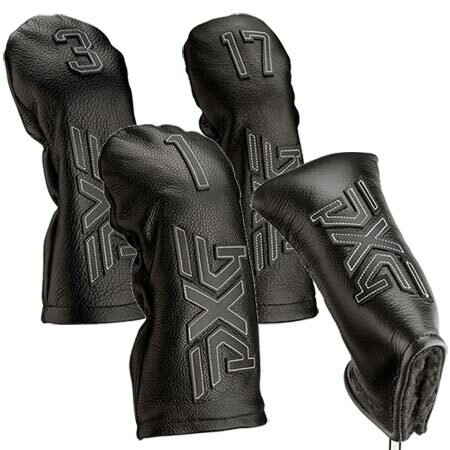 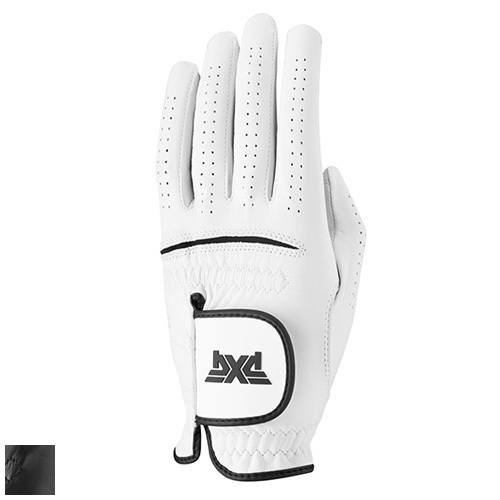 Command your game with the PXG Commander glove. 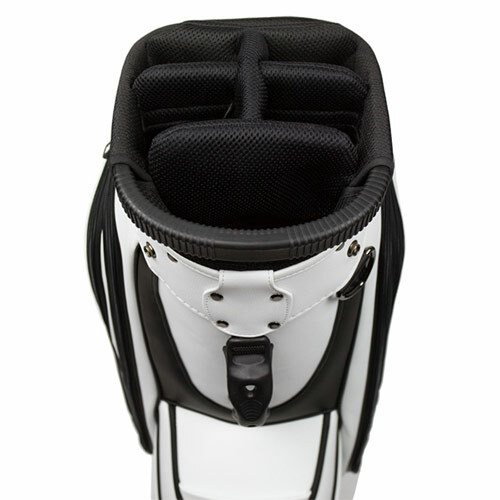 Flexible inserts provide a customized fit and comfortable range of motion, plus the wristband is designed to wick away moisture. 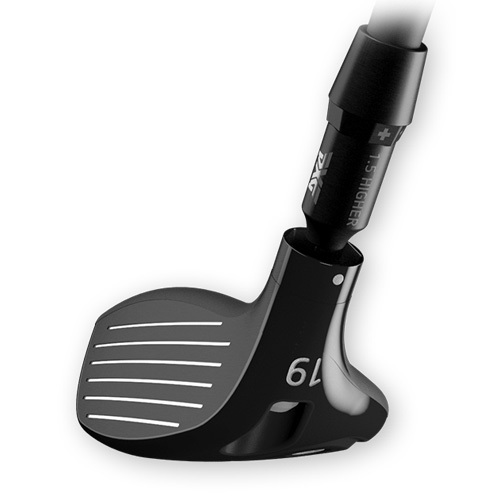 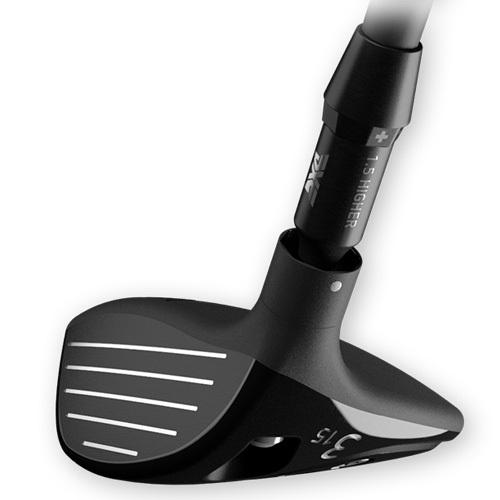 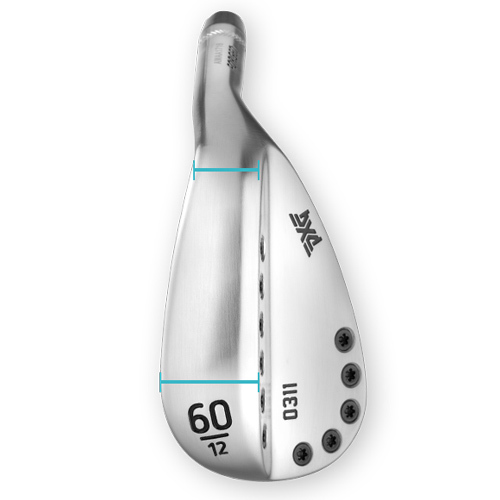 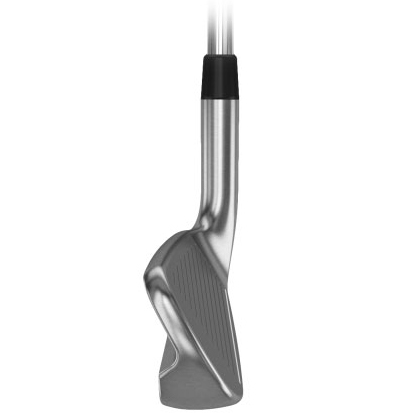 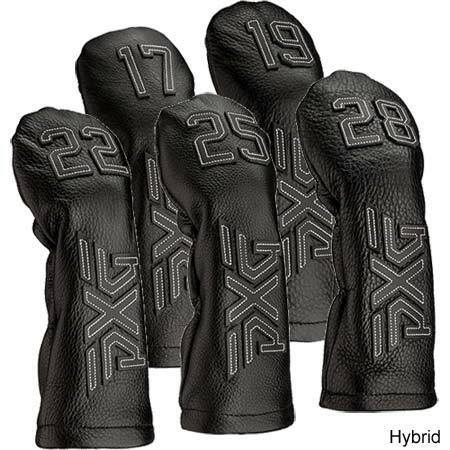 8.25" 8.5" 9" 9.5" 10" 10.25"
Stylish protection for your driver. 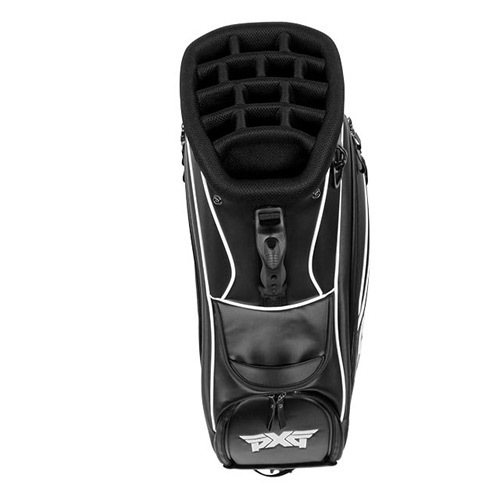 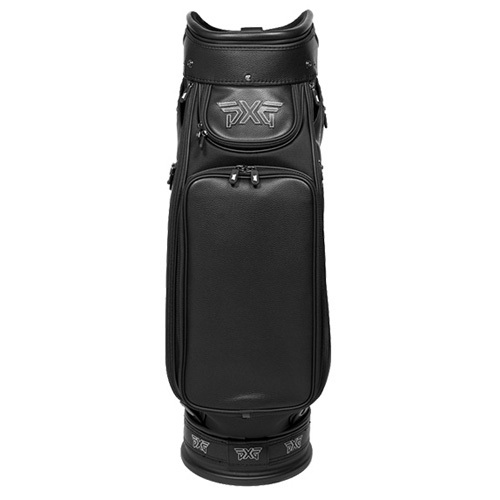 Designed with top-grain premium pebble leather, this cover will keep your club safe no matter the elements. 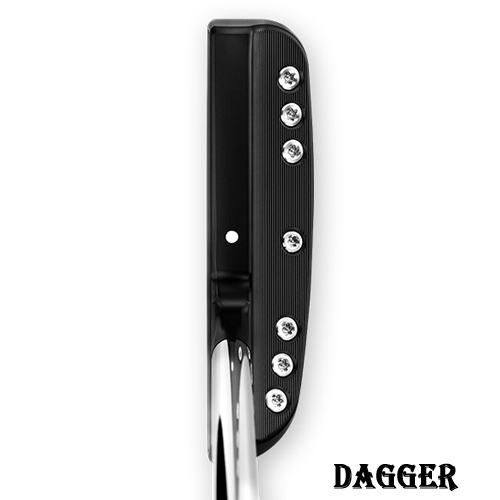 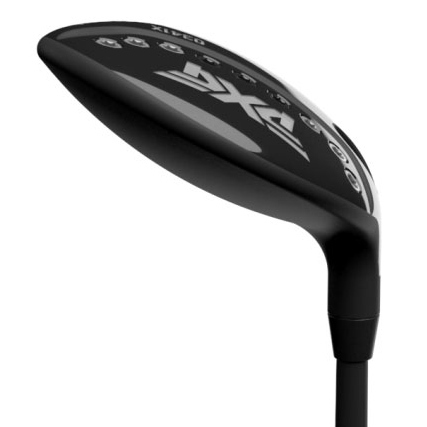 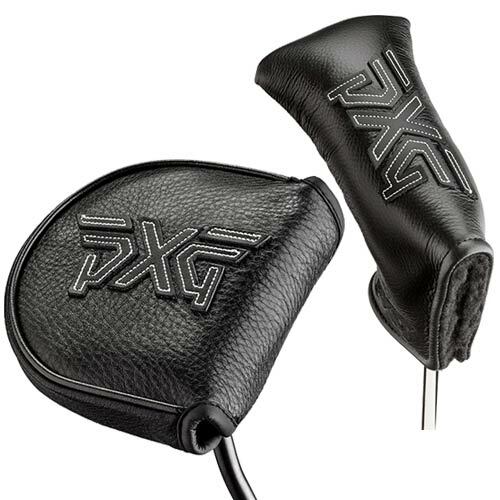 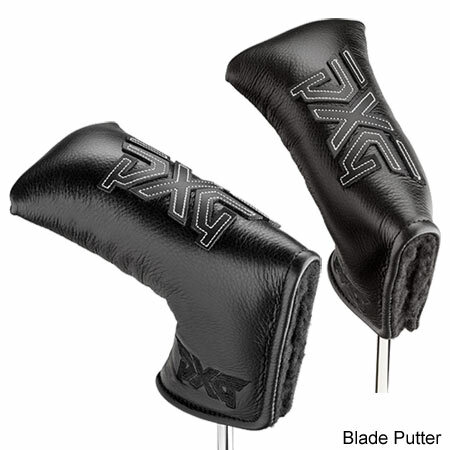 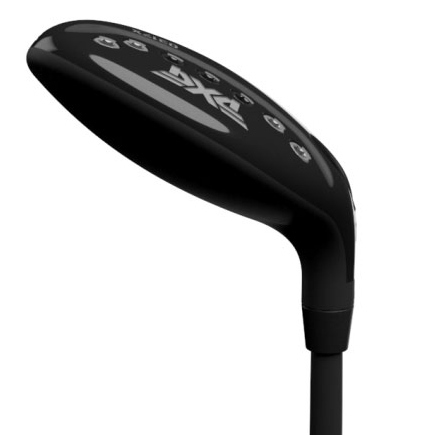 Blade: There's nothing traditional about the looks of the new PXG Blade headcover. 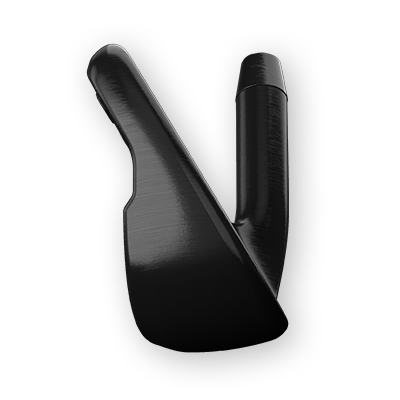 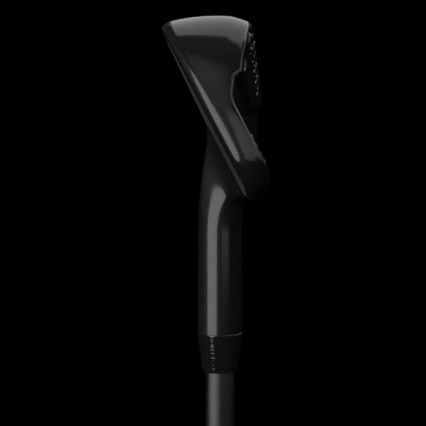 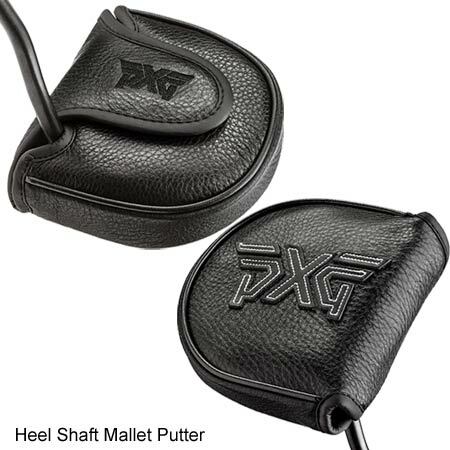 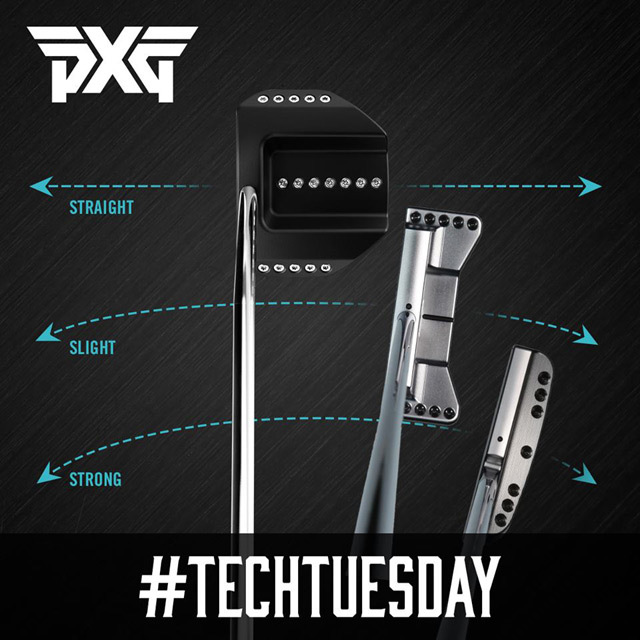 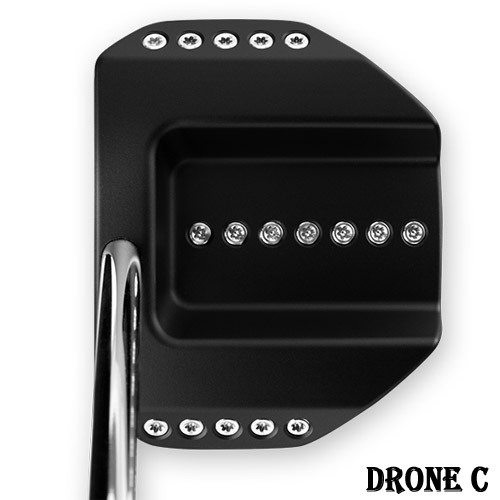 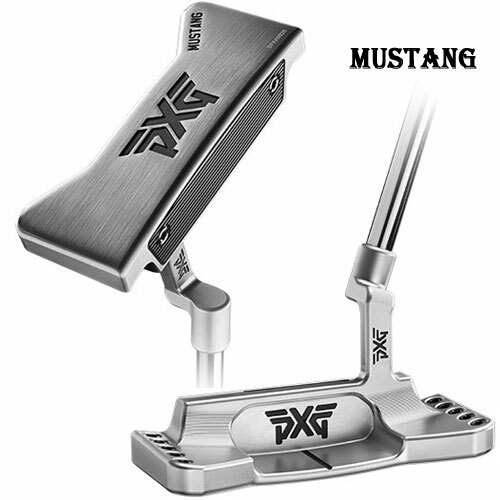 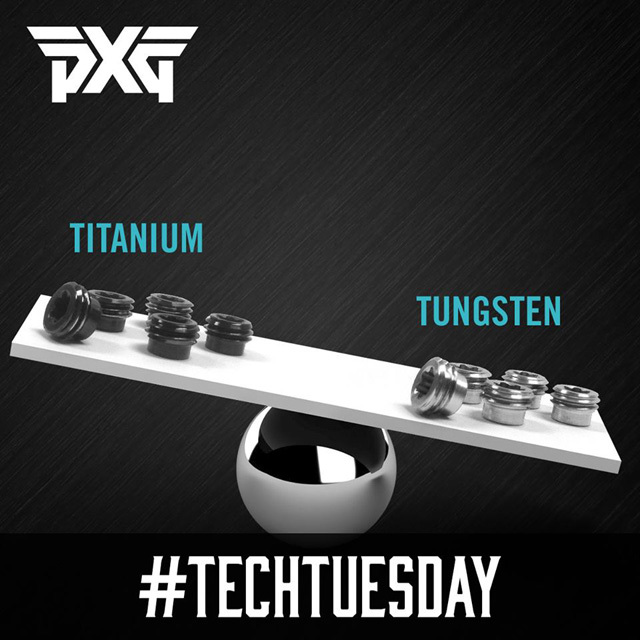 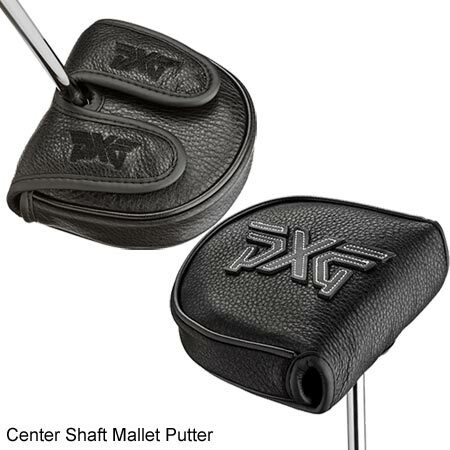 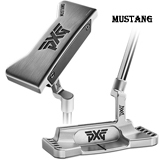 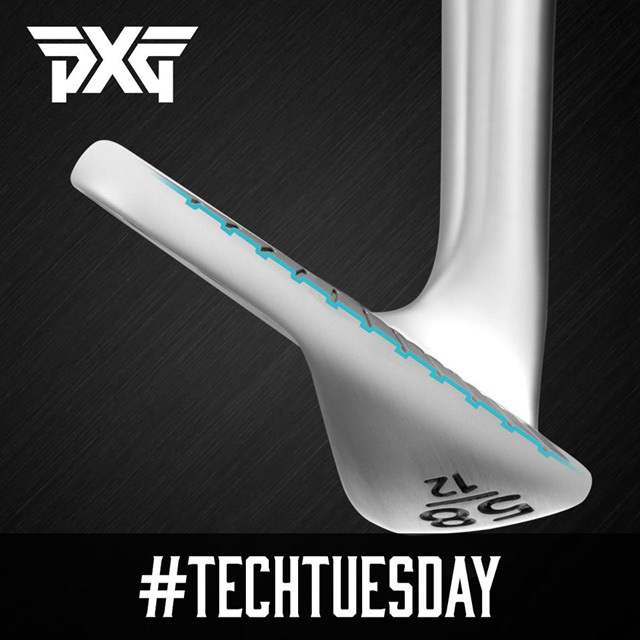 Heel Shaft Mallet: Protect your putter with the hot new PXG Heel Shaft Mallet Headcover. 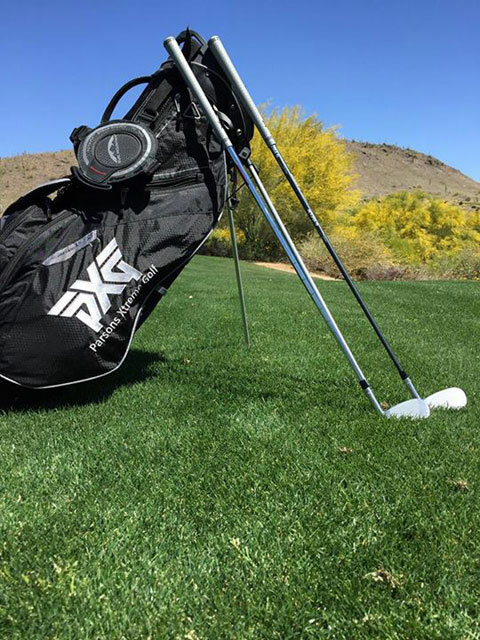 Look like a pro whether or not you’re on tour. 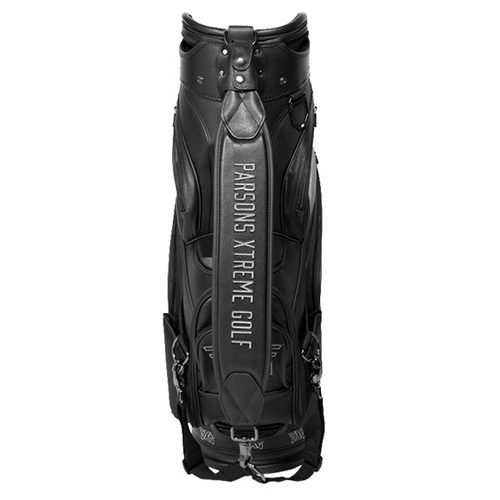 This ultra-premium, all-black bag is a statement piece designed for golfers who want the absolute best. 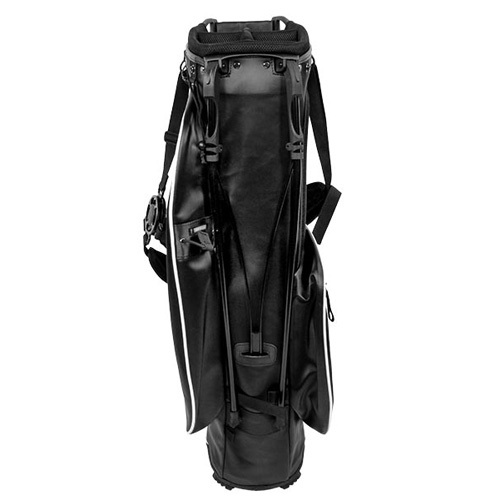 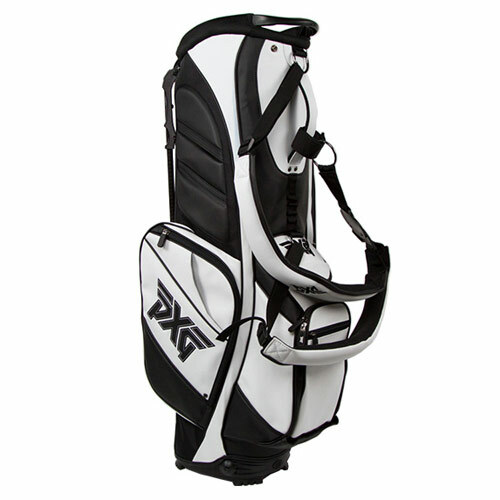 This premium bag is ideal for the organized golfer who prefers to ride the course. 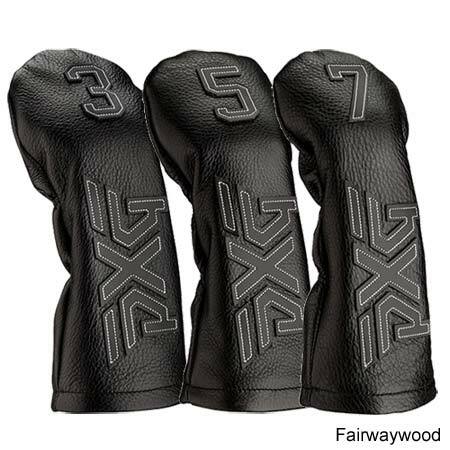 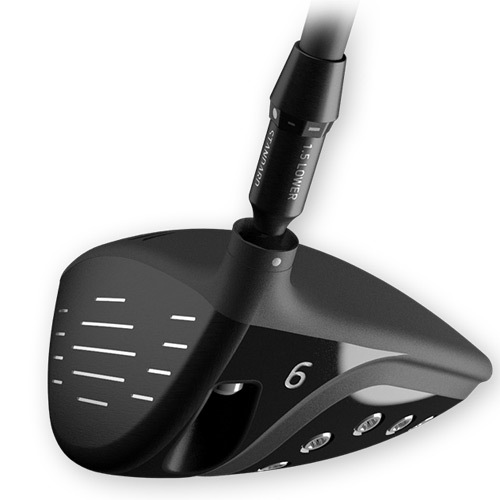 6-way padded top keeps clubs secure to help reduce damage on sharp turns. 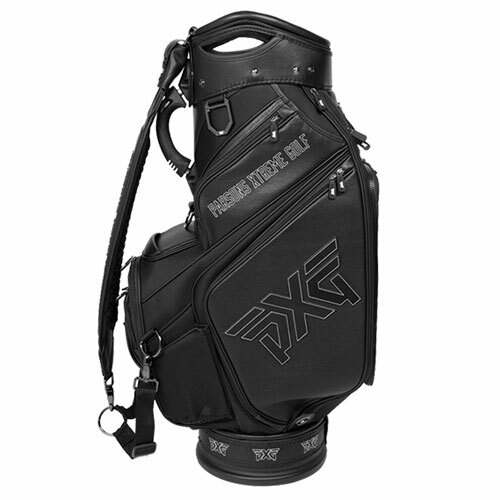 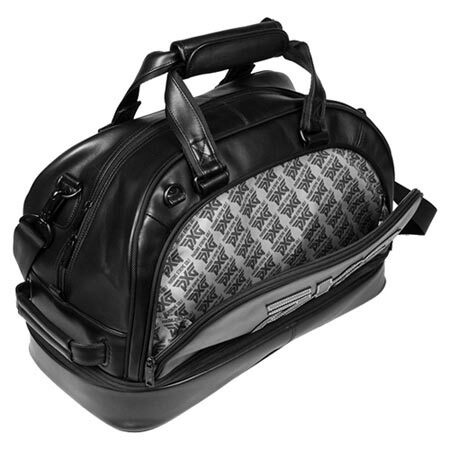 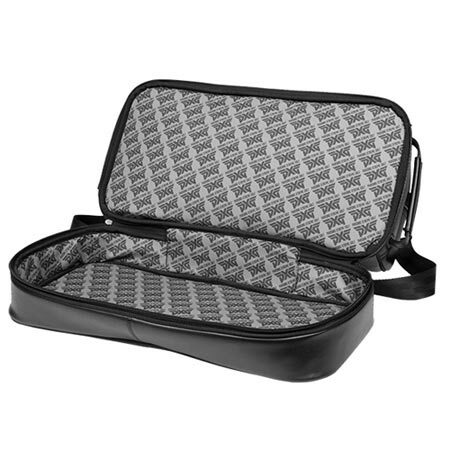 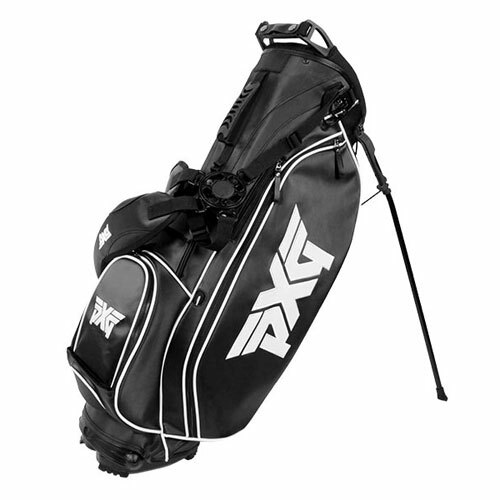 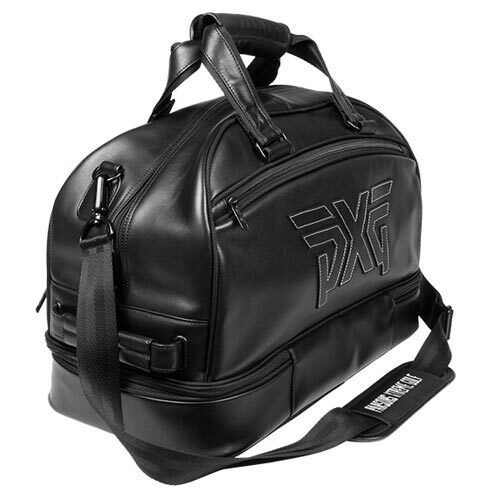 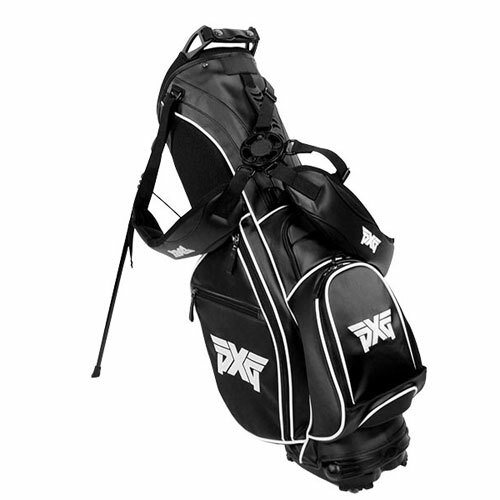 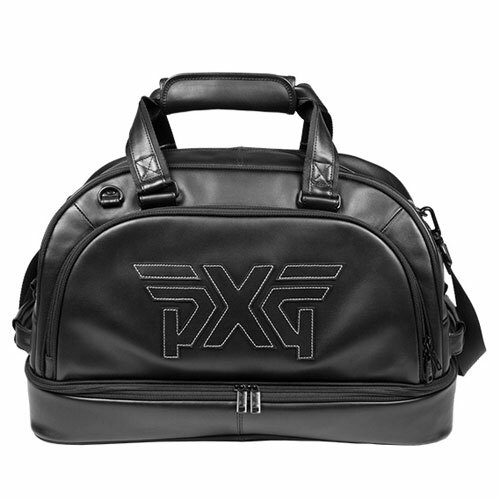 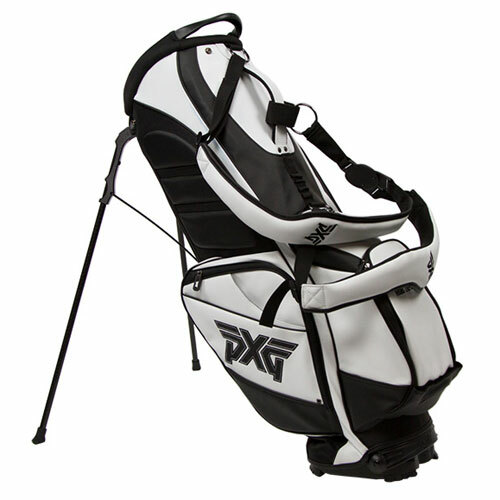 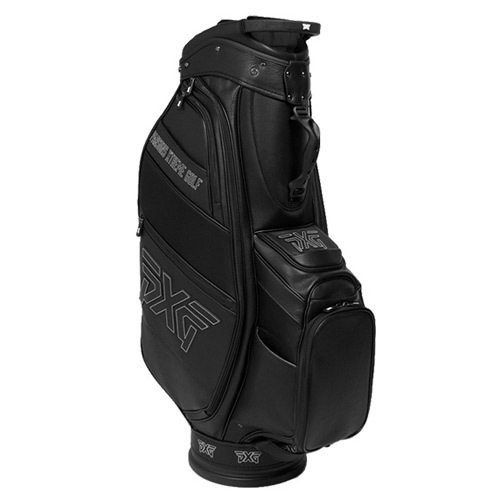 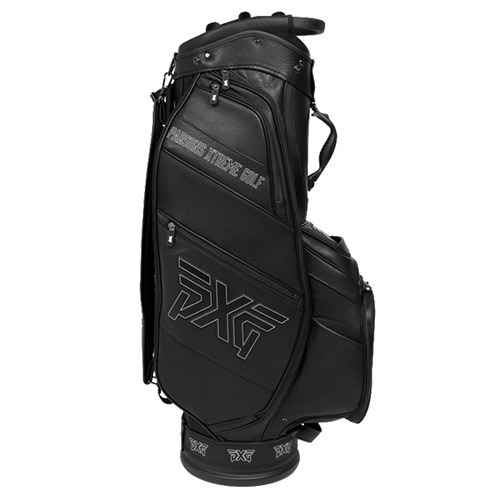 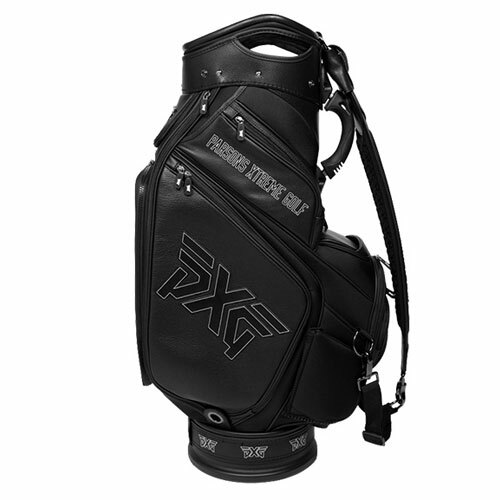 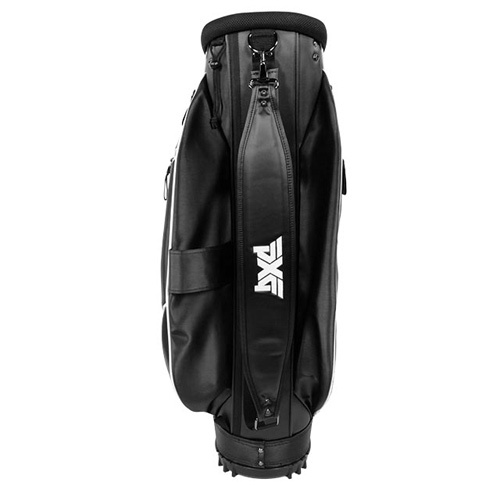 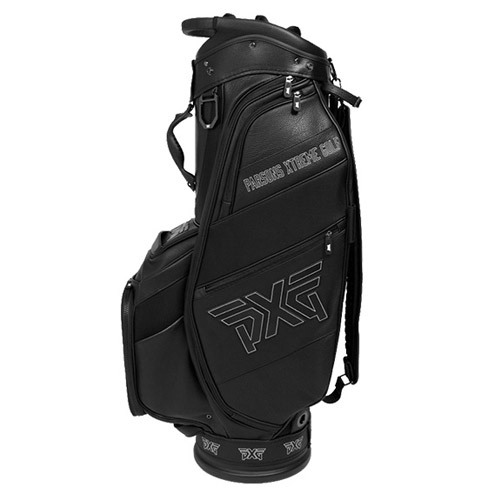 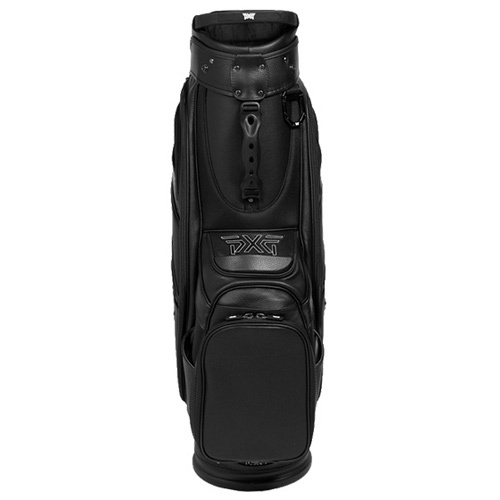 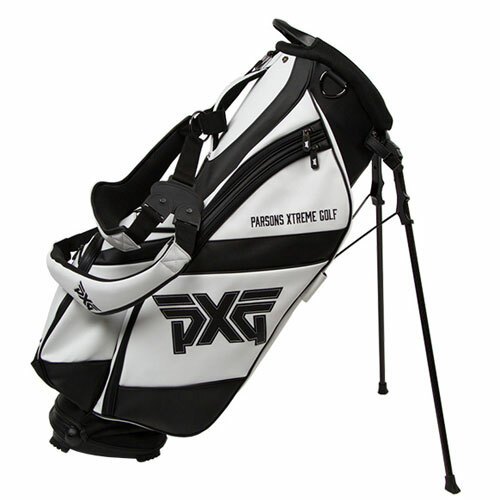 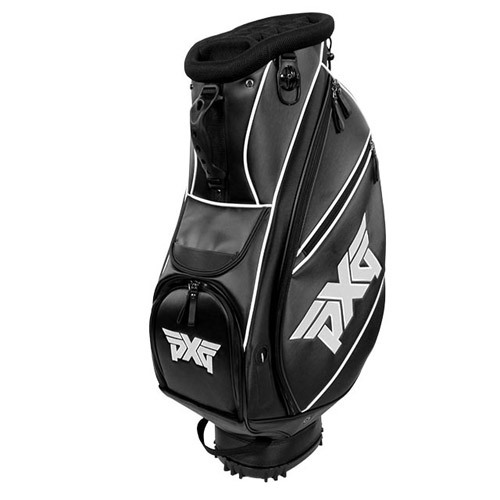 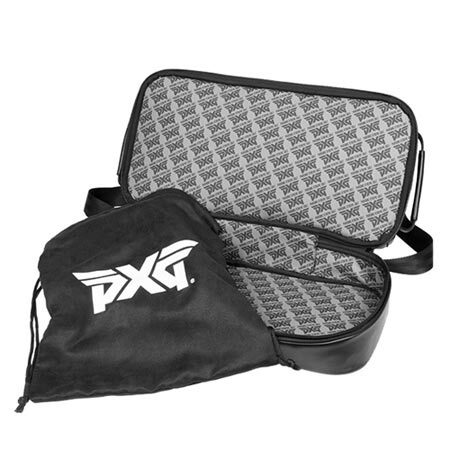 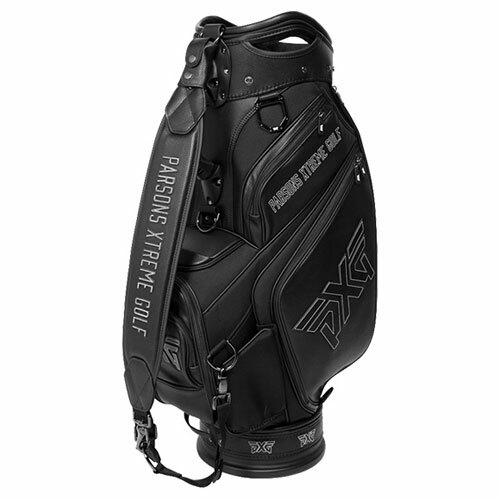 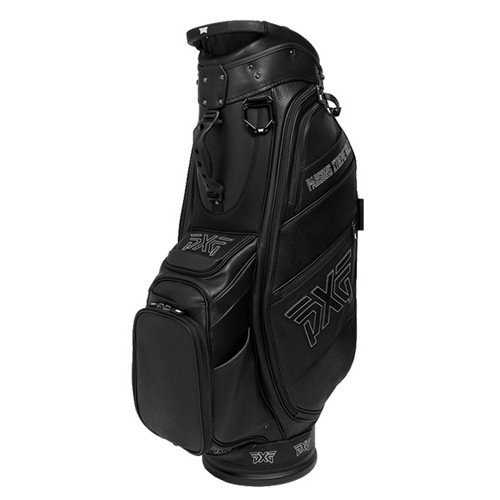 Tote your golf gear like a pro with the PXG Lifted Duffel Bag. 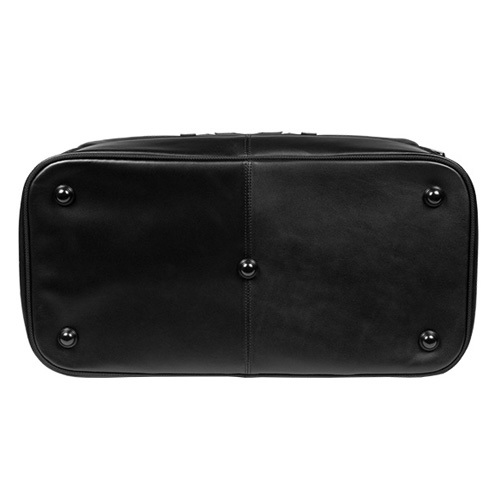 Made from supple black leather with a soft lined interior and shoe compartment, this will soon become your go-to bag. 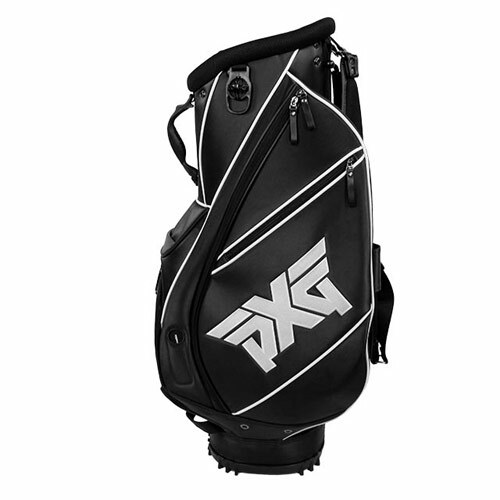 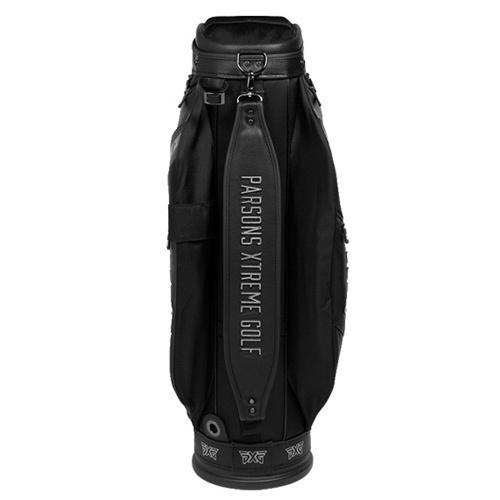 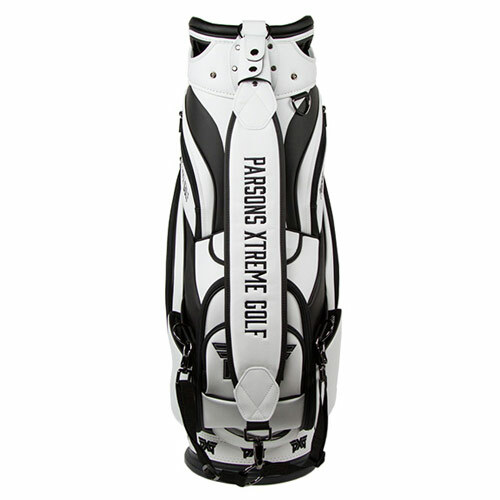 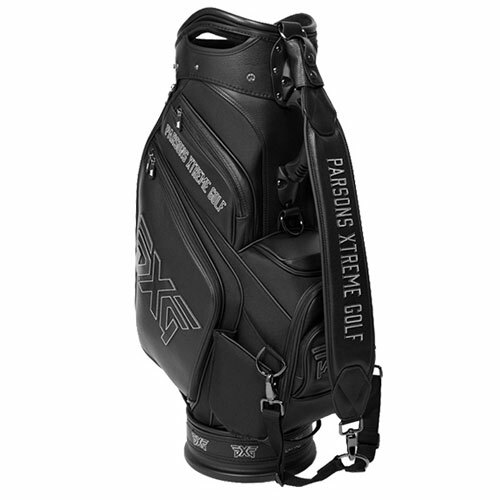 • Measurements: L-19.5", W-10", H-13"
Preferred by PXG’s tour players, this ultra-premium bag is a statement piece designed for golfers who want to play like a pro. 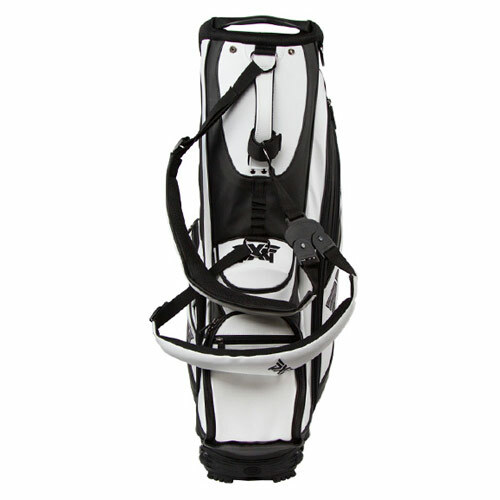 This premium bag is ideal for the organized golfer who prefers to ride the course. 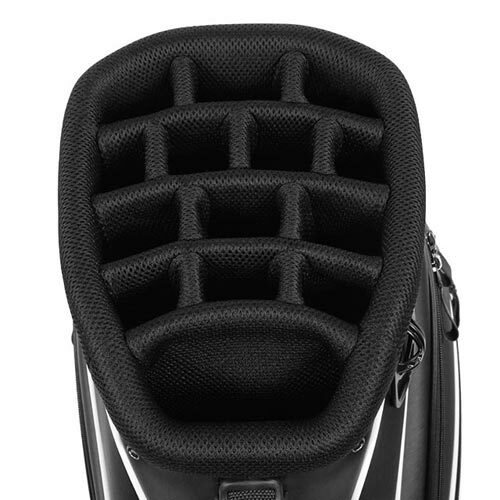 6 way padded top keeps clubs secure to help reduce damage on sharp turns. 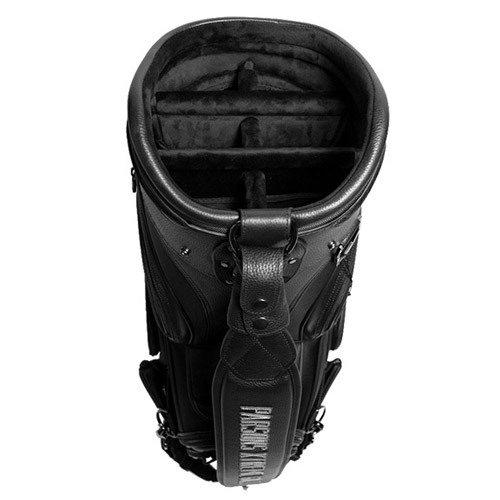 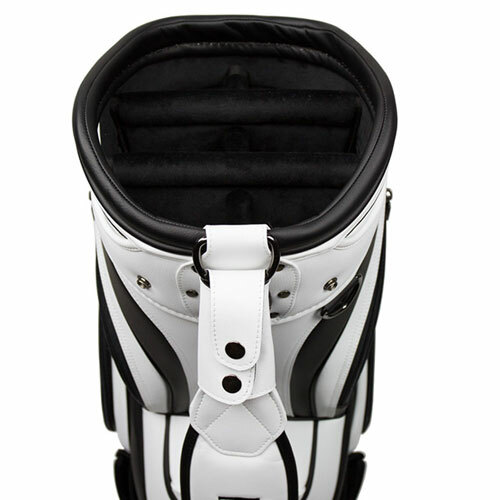 This premium bag is ideal for golfers who enjoy the flexibility of walking or riding the course. 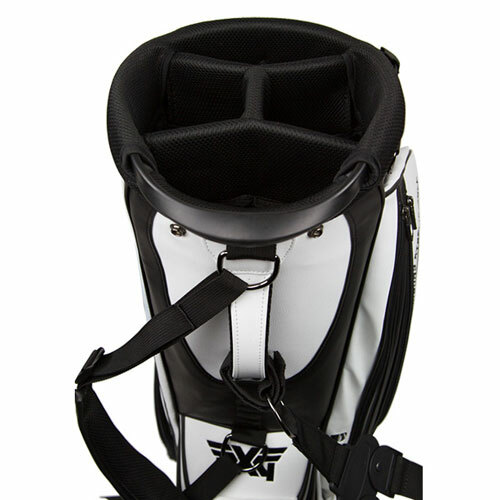 • Rotator stand technology and the four-point adjustable carry strap provide maximum convenience and comfort. 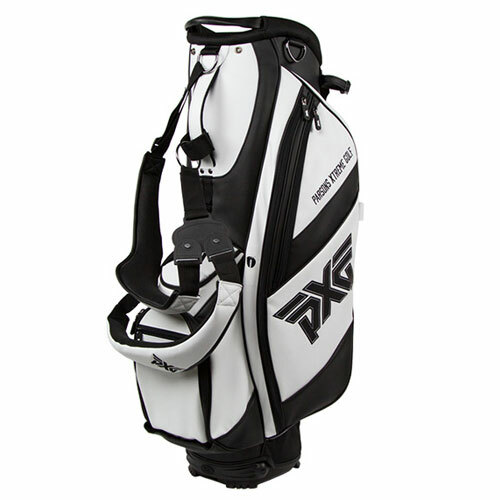 This premium bag is ideal for the organized golfer who prefers to ride the course. 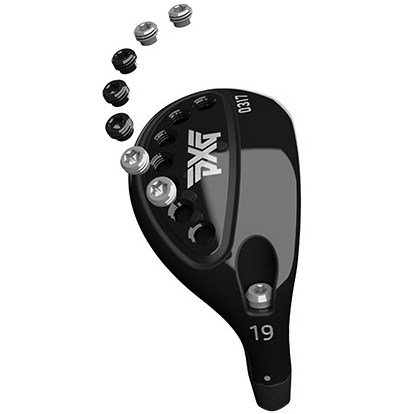 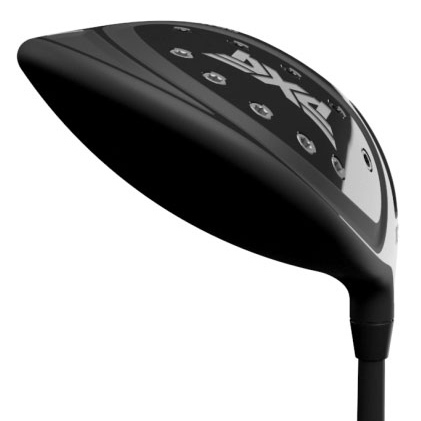 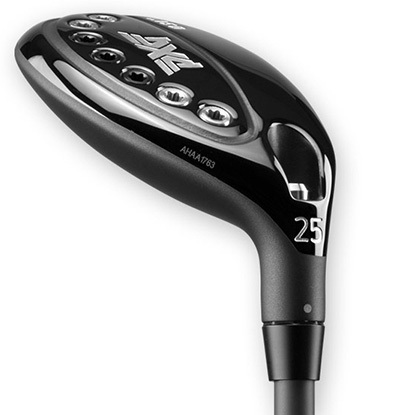 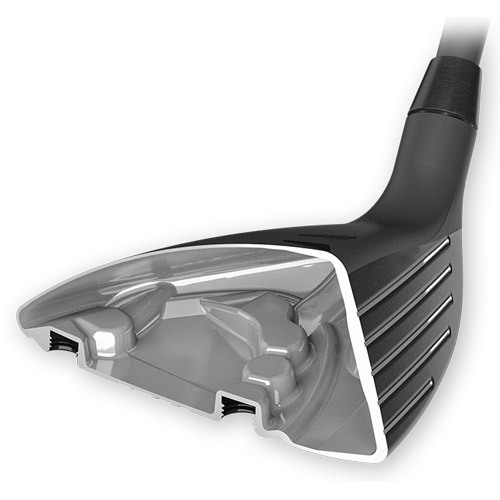 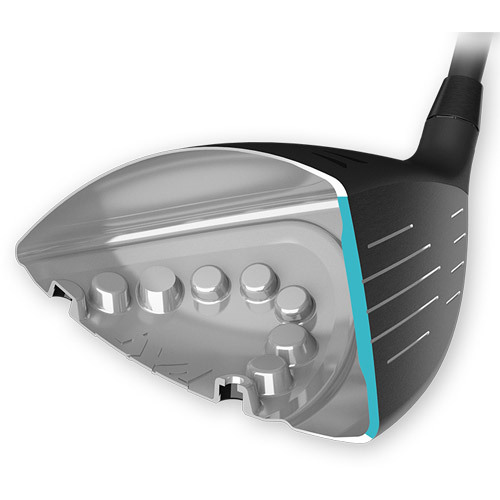 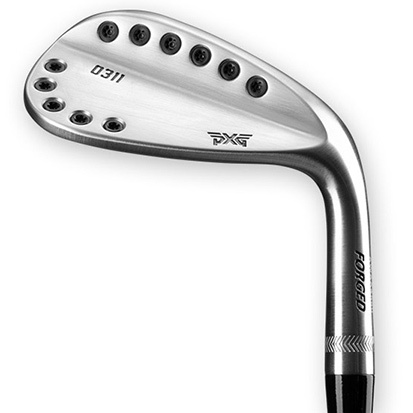 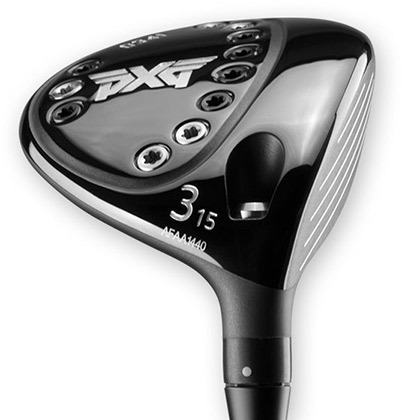 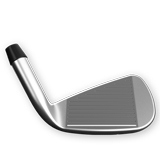 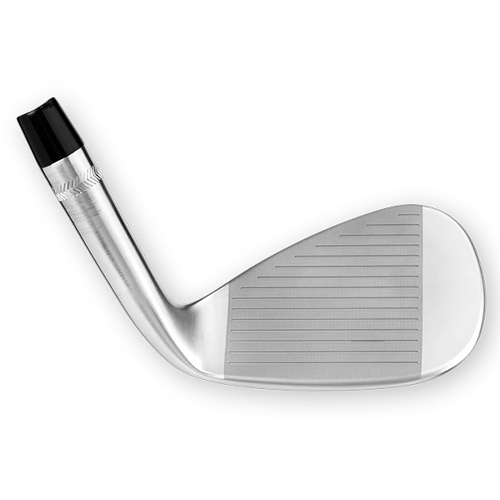 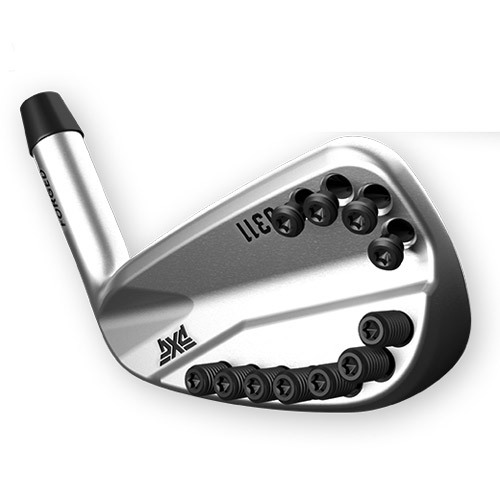 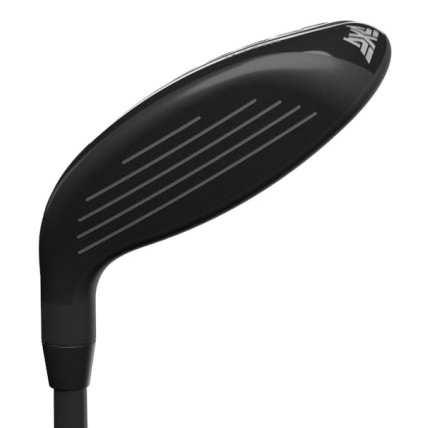 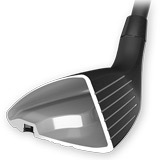 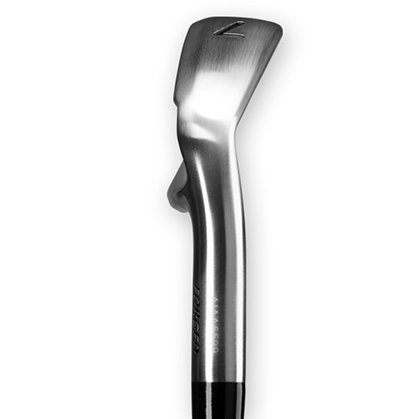 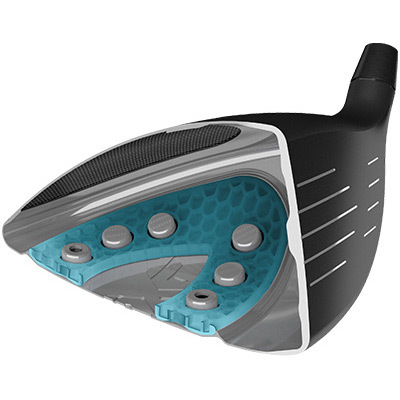 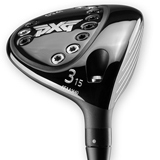 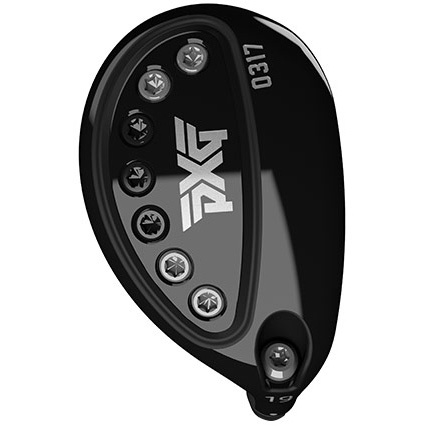 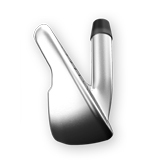 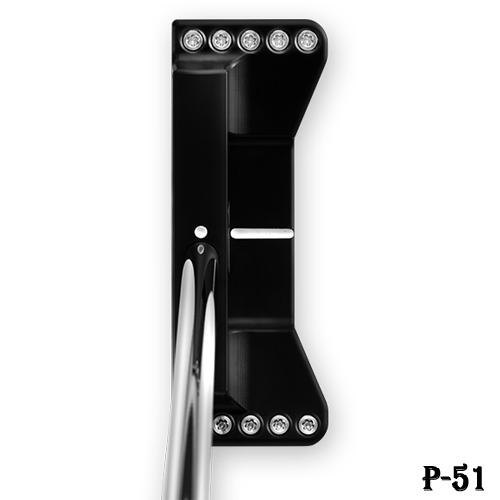 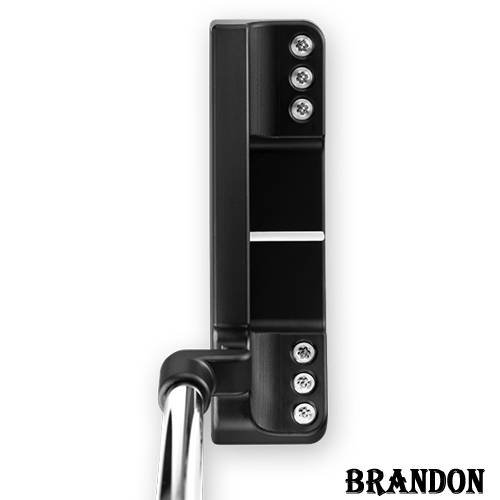 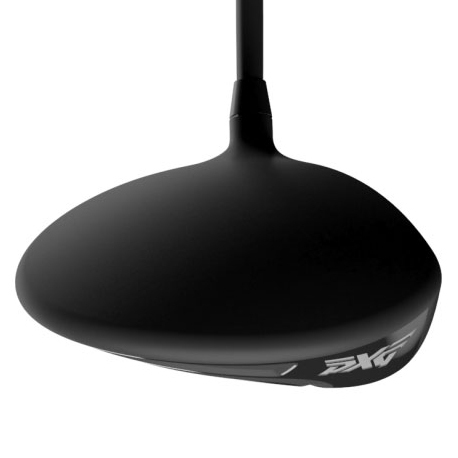 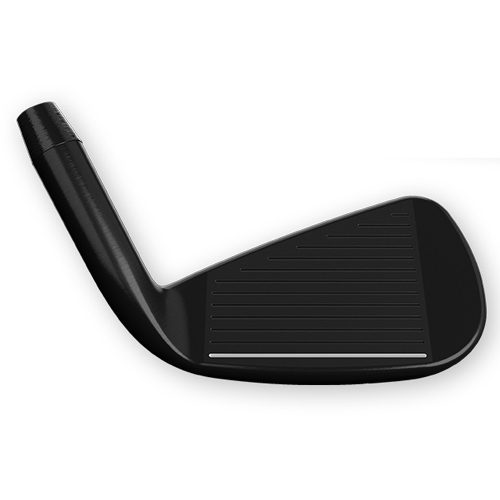 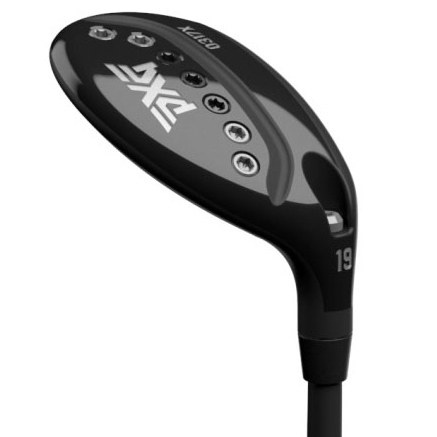 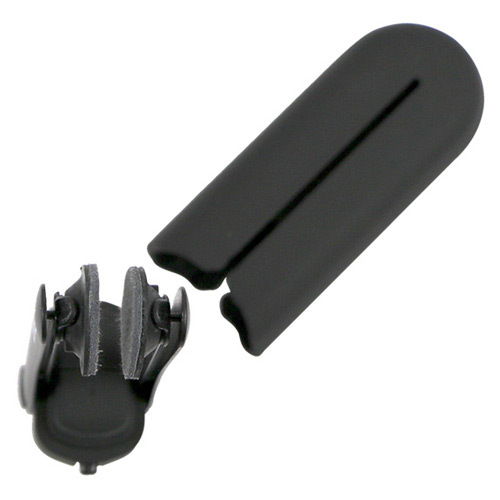 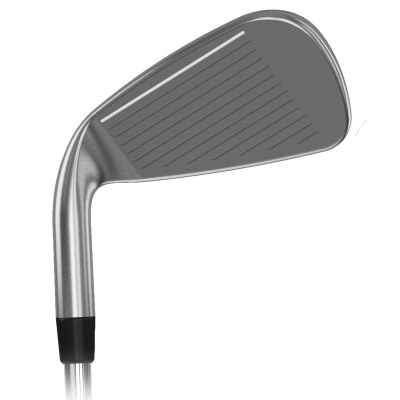 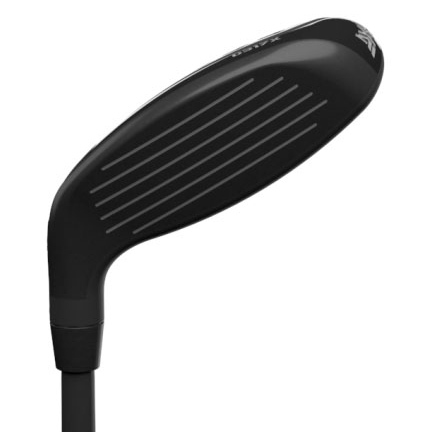 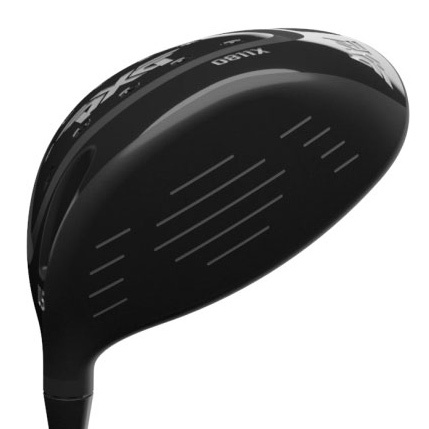 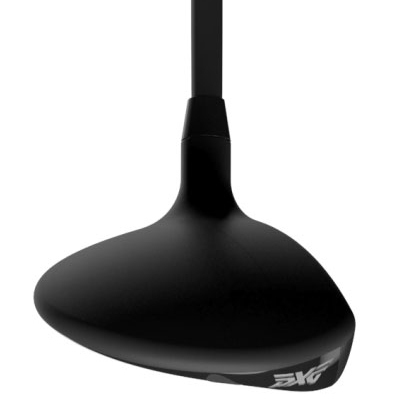 Fourteen cushioned slots keep clubs secure at high speeds and help reduce damage on sharp turns. 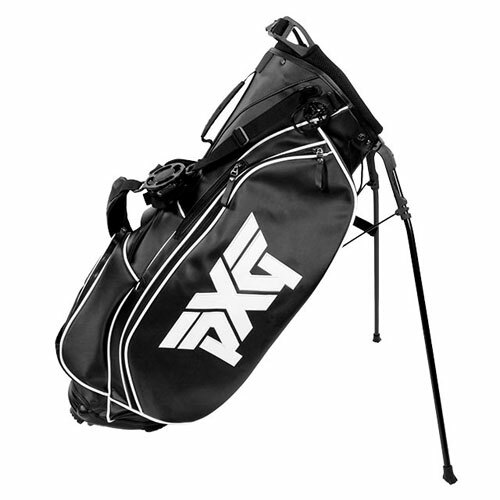 This premium bag is ideal for golfers who enjoy the flexibility of walking or riding the course. 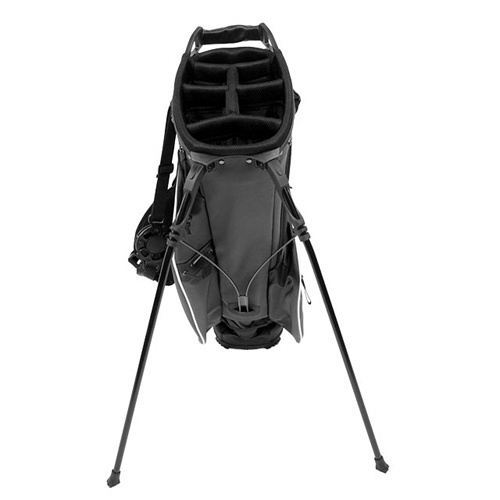 Rotator stand technology and a four-point harness system offer maximum convenience and comfort. 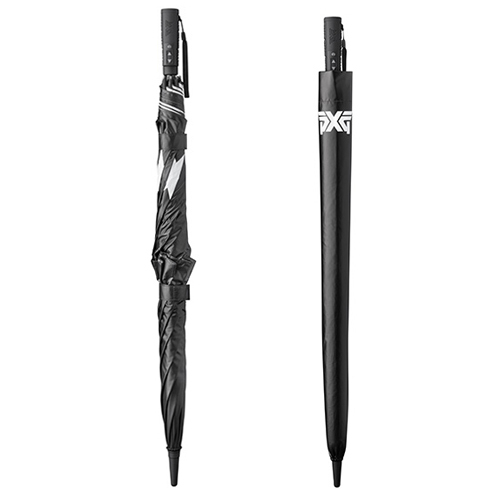 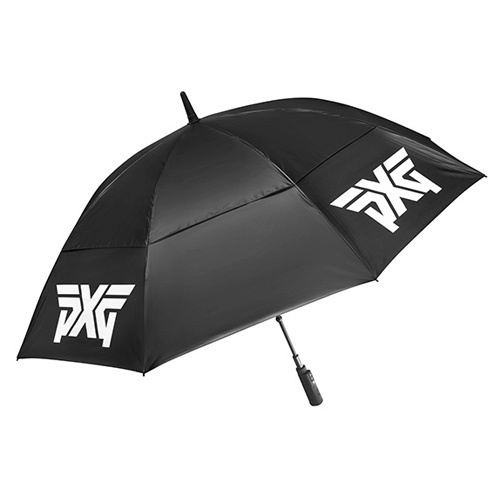 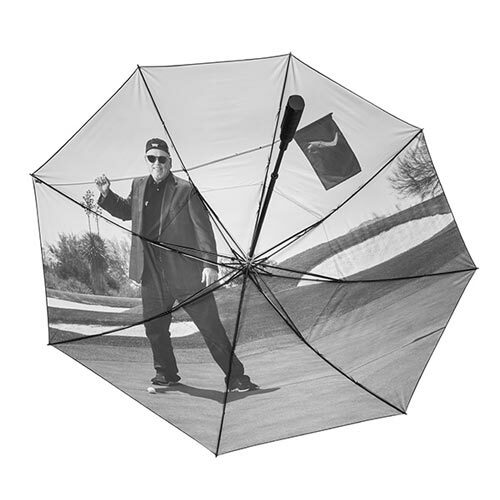 With our GustBuster PXG TOUR Umbrella, not even the rain can dampen your day on the course. 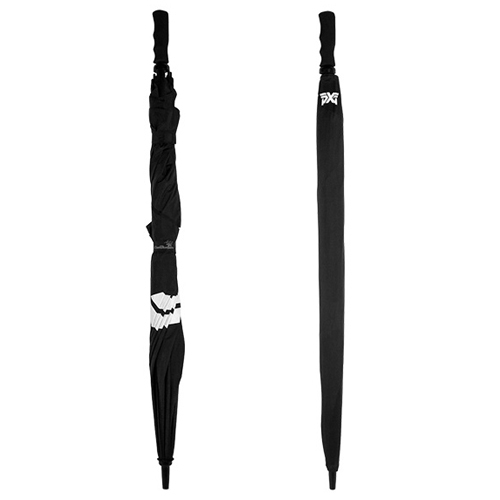 Exclusive Raindrop-Shaped Wind Release Vents, Memory Rod construction that won't crimp, rust or bend out of shape and proprietary Flexor Ribs that spring back to their original shape - this umbrella is second to none. 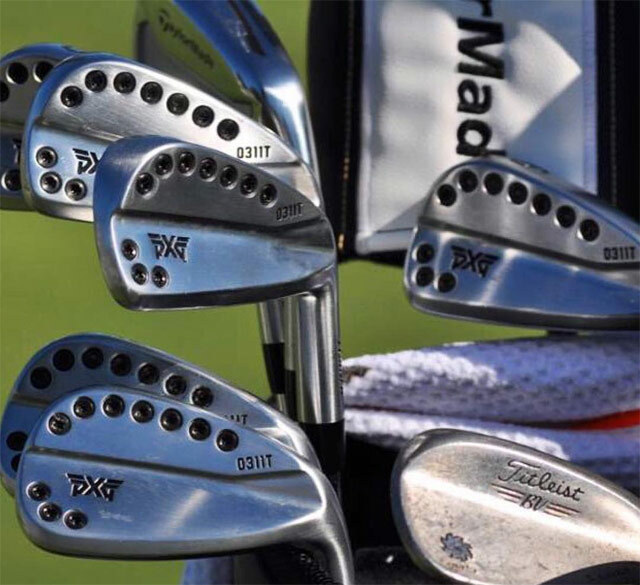 Rainy day on the course? 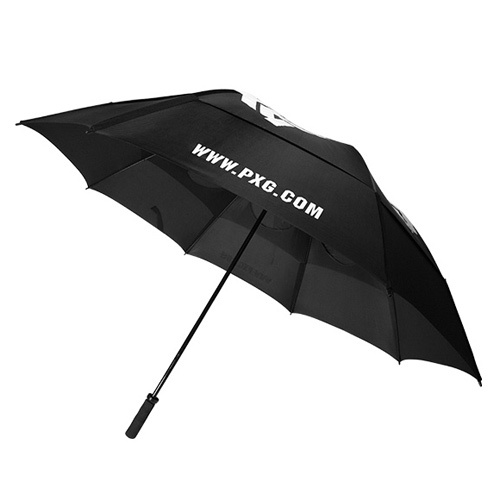 This umbrella's one-touch design has an electric open/close mechanism so that you can find cover quickly. 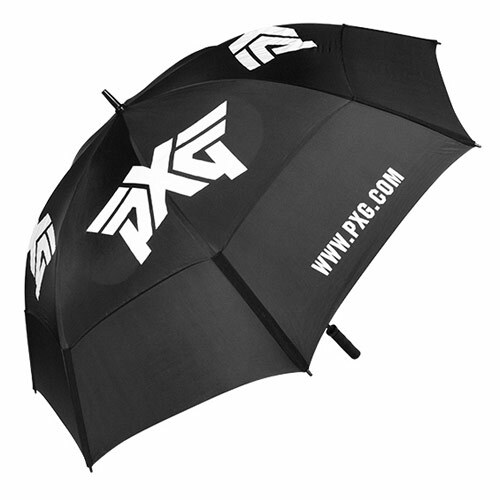 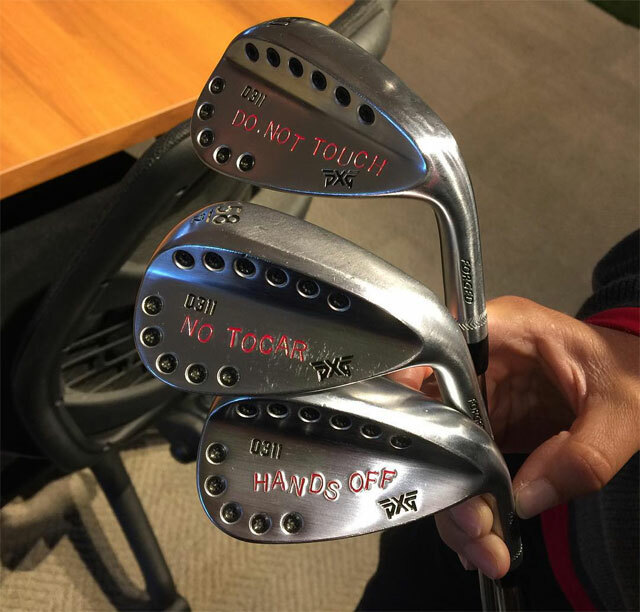 Emblazoned with a whimsical graphic featuring PXG's founder Bob Parsons, your spirits will stay high while you stay dry. 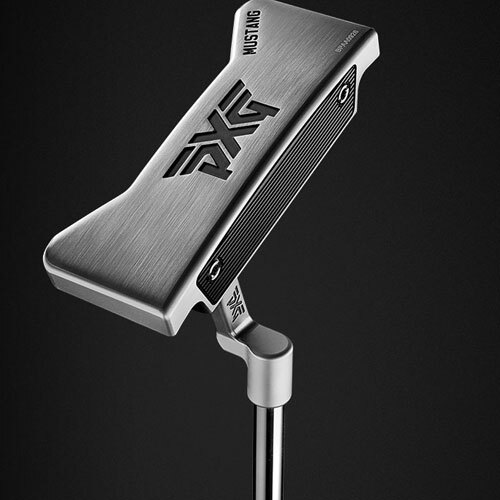 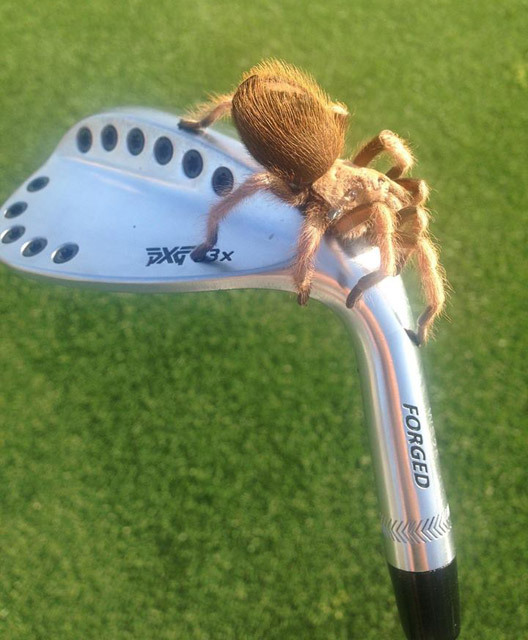 Don't let a dirty club or sweaty grip ruin your next important shot. 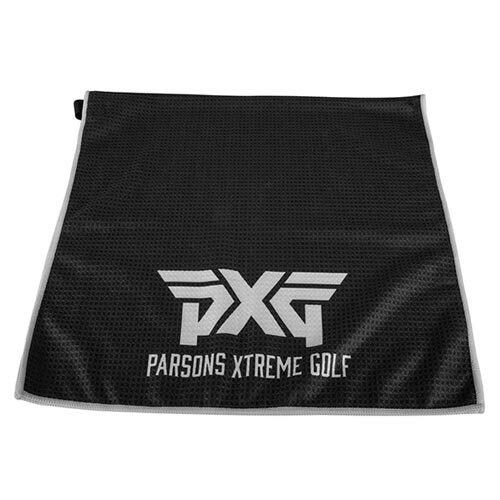 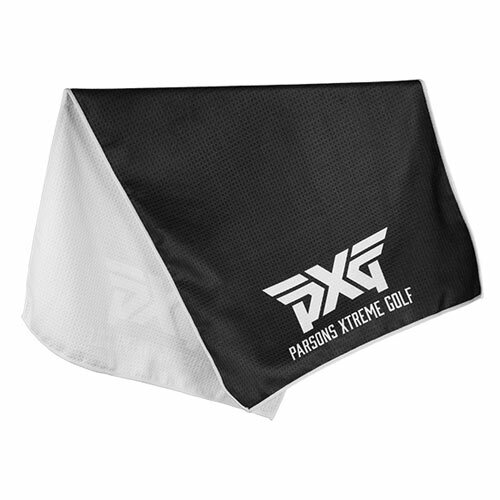 With this PXG waffle towel, you'll always be prepared and in style. 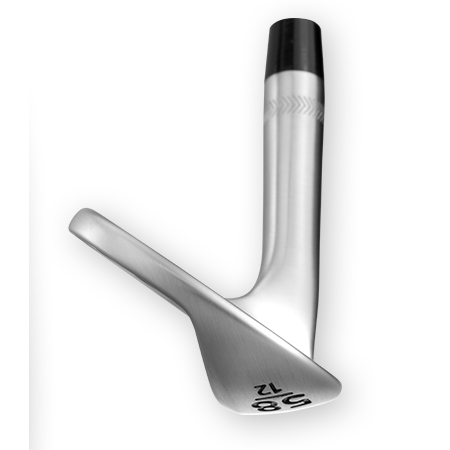 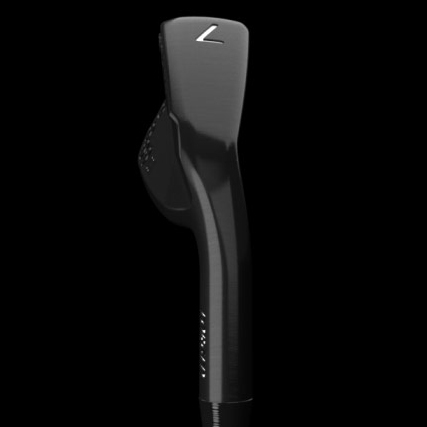 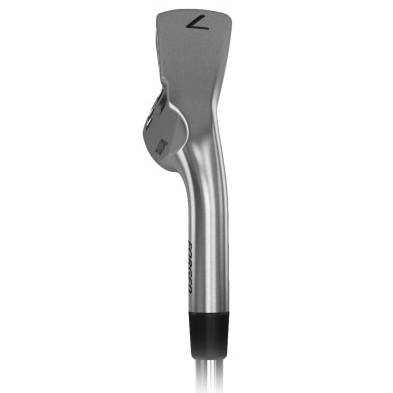 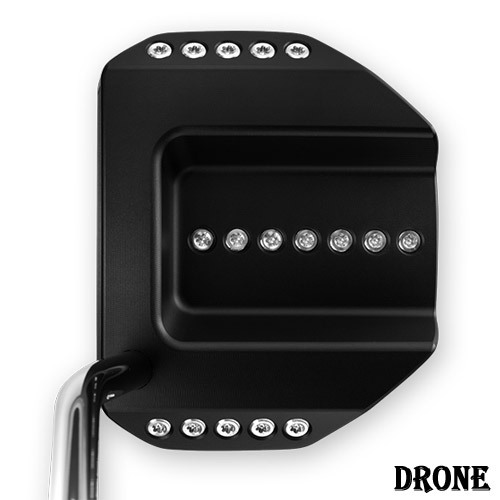 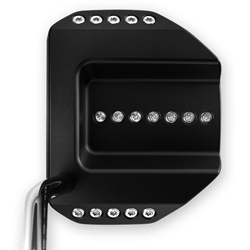 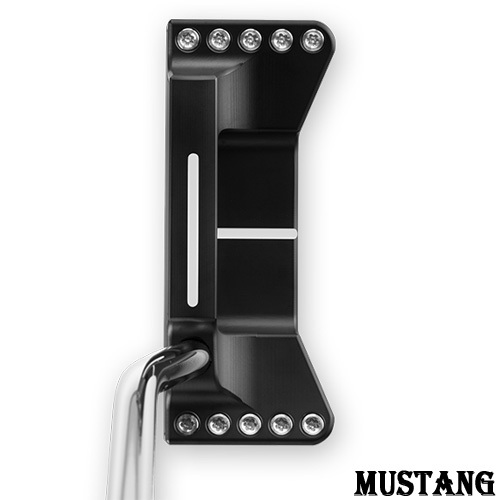 This elegant accessory is the perfect finishing touch for any golf bag. 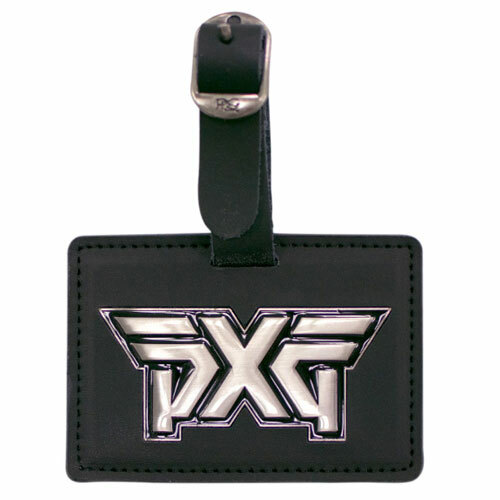 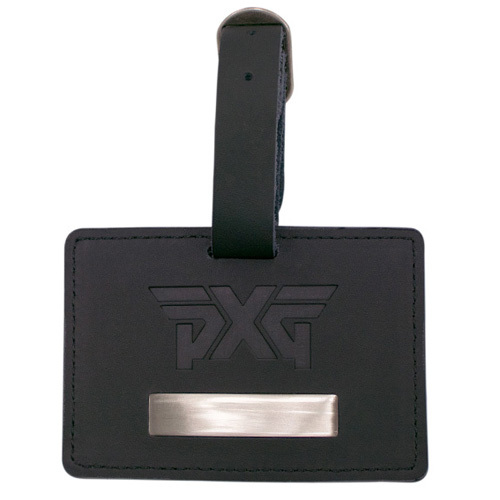 Made of premium quality leather this bag tag is embossed with a metal PXG logo on one side and a brass plate on the reverse side for engraving. 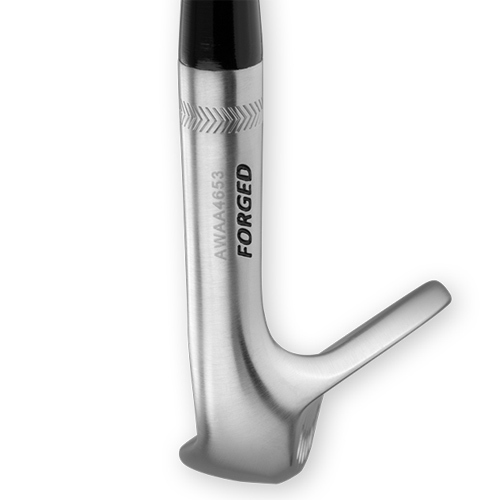 This solid metal tool will be the envy of your foursome. 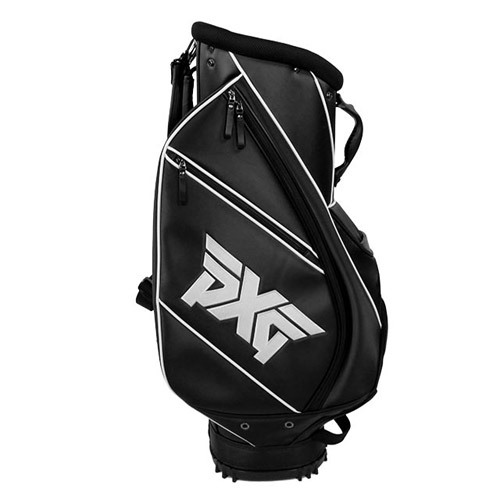 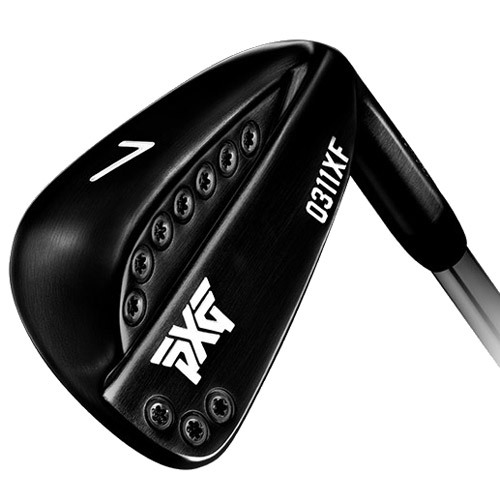 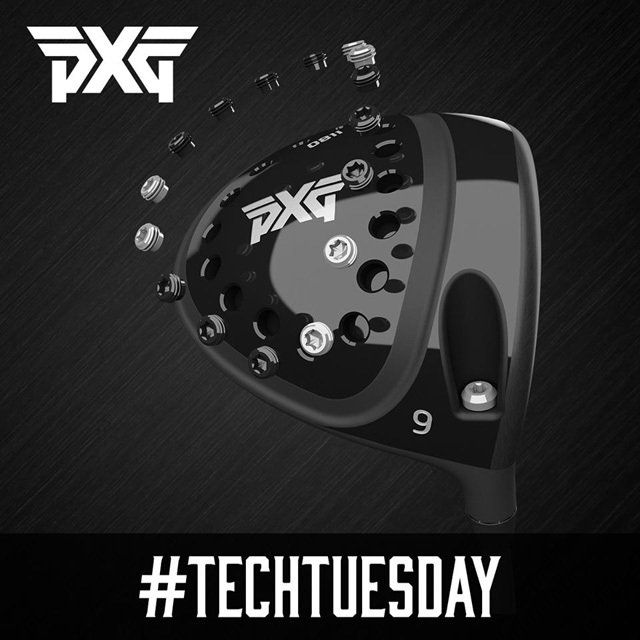 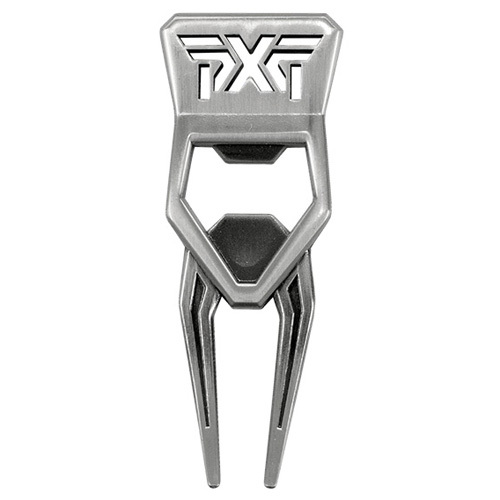 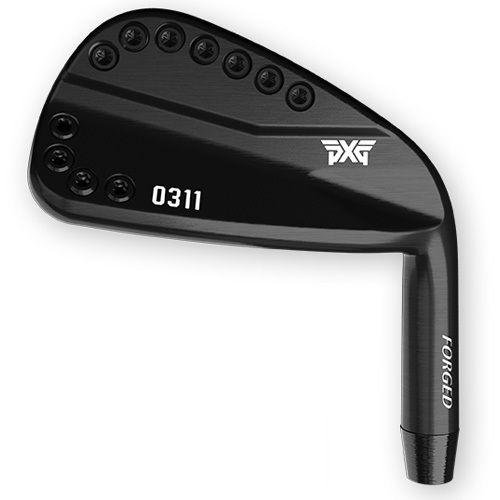 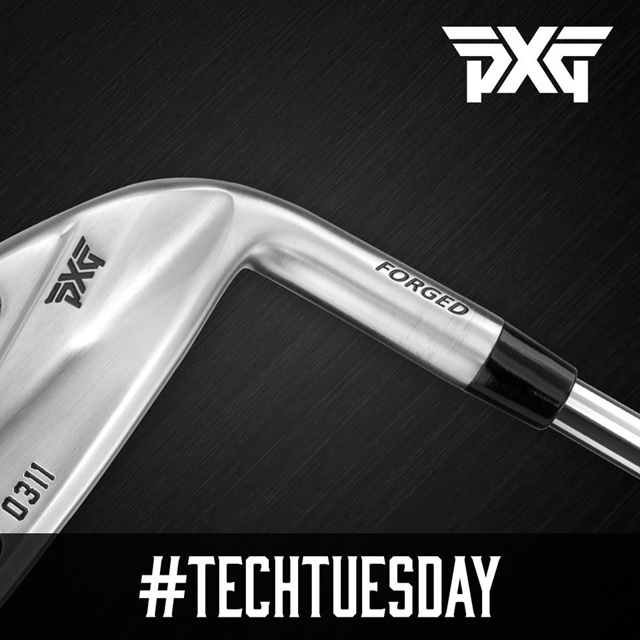 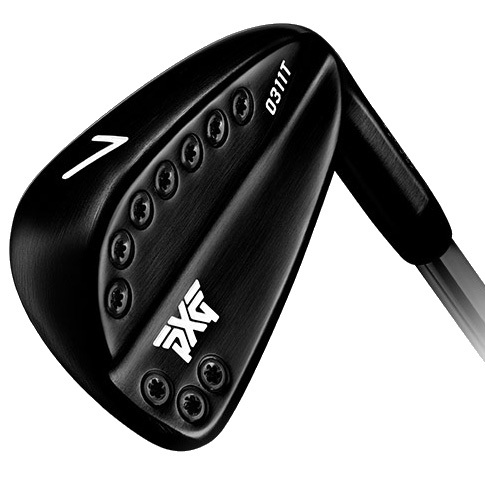 Featuring the cut-out PXG logo, you'll replace any divot in style. 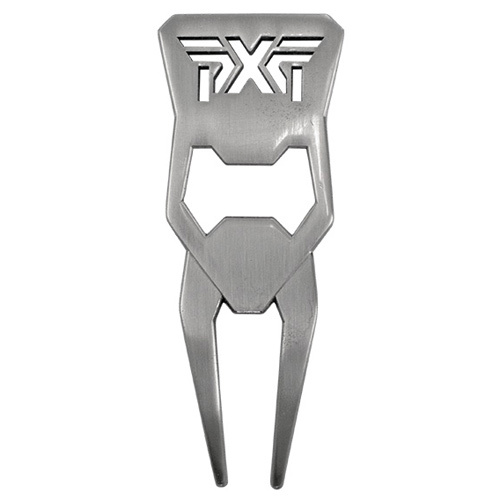 And if you don't need the tool for its traditional purpose, be sure to keep its bottle-opener feature handy for the 19th hole. 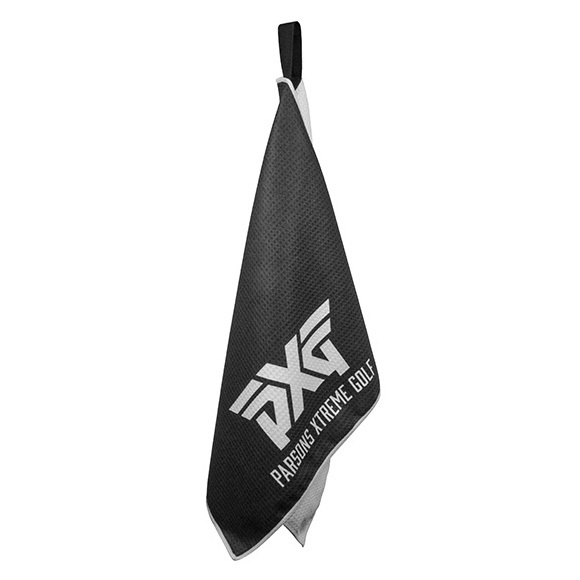 Keep your glasses smudge-free on the course while flashing your PXG style with Peeps lens cleaner. 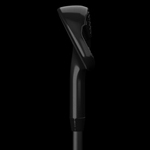 Made with a carbon cleaning compound that disinfects and removes dust, oil and fingerprints, Peeps uses no liquids so it won't dry out and works perfectly in any climate.